This “Reading Rainbow Book” is a timeless classic that has entertained many generations. 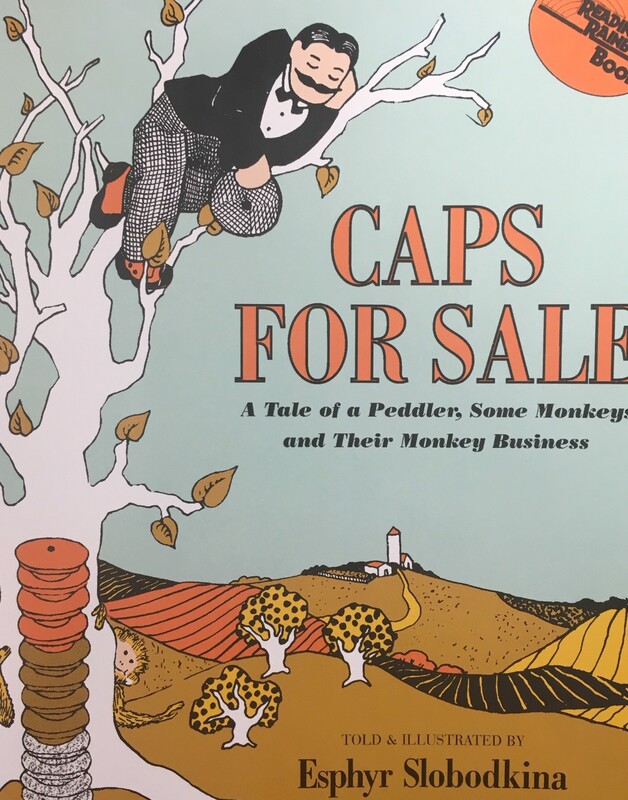 Children will love the humorous story of a peddler trying to outwit the monkeys. 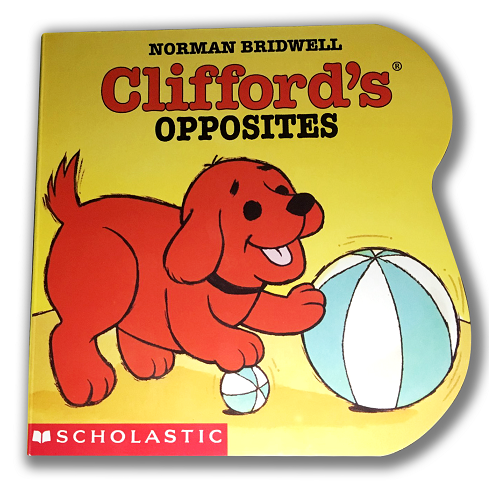 There is lots of repetition in this book, which makes it a fun read for children and adults alike. Young ones can practice their counting skills and color knowledge while they listen to this warm story that helps to teach about conflict resolution as well. This bright picture book comes in board, paperback and hardback editions, and is great for ages 4-8. Be ready for lots of giggles as you share this book with the young ones in your life! Janice Dobbs has been the Book Coordinator for Reach Out and Read Kansas City for over 17 years. She’s responsible for purchasing, organizing, and managing the delivery of over 80,000 books annually to our partner clinics. We are welcoming seven new Advisory Board members this year! This phenomenal group includes people with a wide variety of skills and expertise who all have one thing in common: a passion for literacy and ROR-KC. Eli Colmenero is an Insurance Tax Associate at MarksNelson, LLC. He’s an attorney who’s been involved with ROR-KC for several years as a volunteer Books On Tap committee member, and is excited to join the Advisory Board. He comes from a family of teachers and family literacy has always been important to him. 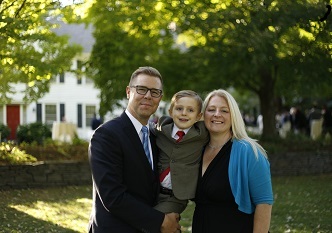 He believes strongly in the mission of preparing children to enter kindergarten as prepared as they can possibly be. Neesha Hitchcock has been working at Children’s Mercy Hospital since 2011. Her current role is Director of Operations. She volunteers with Girls on the Run, Junior League and Boys and Girls Club, and is a member of the Greater KC Chamber Centurions. Neesha is passionate about helping the community’s most vulnerable children. She understands that reading aloud at a young age is key to building a strong imagination and understanding of the world…and every child deserves that opportunity. Kelly Jernigan, J.D., CFA is a portfolio manager at the Commerce Trust Company. He has worked as a public defender, public school teacher and investment analyst. He is excited to be a part of ROR-KC because of its focus on the importance of parental involvement in developing early childhood literacy. Jamie Elwood is a Literacy Coach for Juniper Gardens Children’s Project through a Literacy 3D grant. She’s an early childhood special education teacher and she has a degree in language and literacy. Jamie loves working with ROR-KC because it’s the only program that does early intervention paired with a child’s well visit. She feels strongly about making a difference so that local children are successful later in life. Megan Sturges Stanfield is a life-long lover of books. She holds vivid memories of being read to as a child and now loves reading with her niece and nephew and showering them with books. Megan’s passion to make a difference and create change drives her professional and volunteer work. From the early days of her career serving as a parent educator with Early Head Start to her current role as President & CEO of Junior Achievement of Greater Kansas City, she is dedicating her time and energy to providing opportunities for kids to succeed. Megan is also a former Executive Director of ROR-KC. Bill Eckert is a financial advisor, national speaker, author and Chartered Advisor in Philanthropy. Bill’s unique specialty is using tax-reducing strategies which allow people to make charitable contributions. This creates a win-win situation for individuals and charities. He’s excited to be part of the ROR-KC team because he feels that education is the key to success and it starts with early childhood literacy. Jenny Garmon loves supporting children and building stronger communities. The unique nature of ROR-KC’s foundation in medical science and heartfelt volunteer work appeals to Jenny, and she enjoys being a volunteer reader at a clinic. She is honored to work with the dynamic and talented members of the board, while bringing her creativity, energy and passion for collaboration to the table. 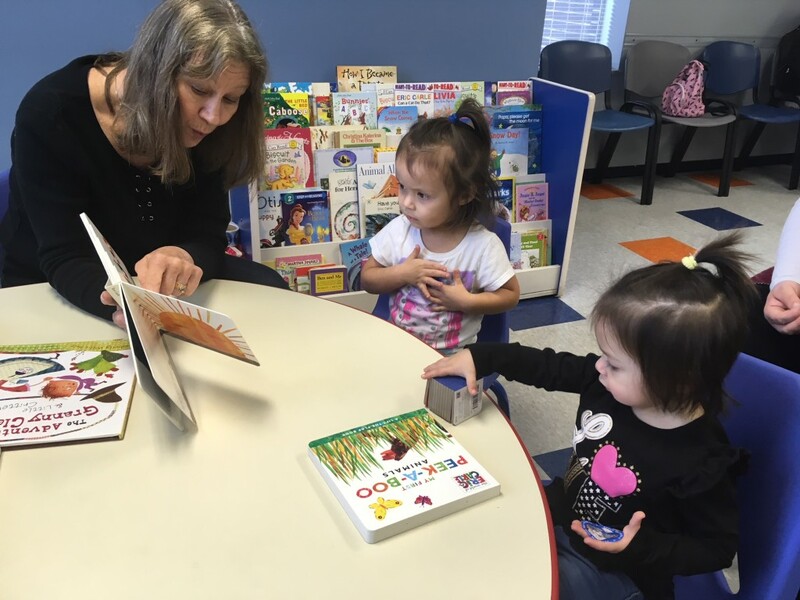 Every Tuesday afternoon, the patients and staff at Baby and Child Associates can count on two things: volunteer Susan Hannah and Pete the Cat. 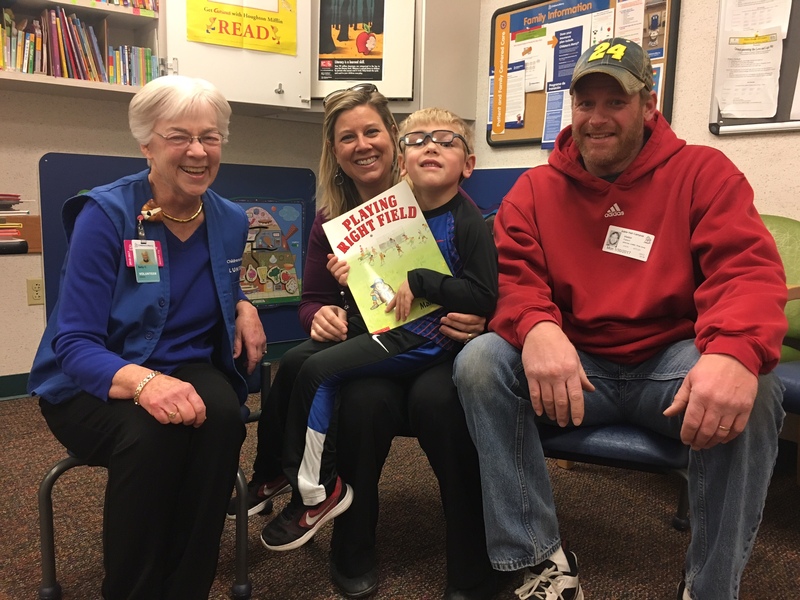 “I just love Pete the Cat books!,” says the retired elementary school teacher (pictured, left), who’s been faithfully reading to patients and siblings at Baby and Child for ten years. Each week, she settles in at the child-size table and chairs in one corner of the colorful waiting room and engages children with a book. And more often than not, it’s Pete the Cat. “I even went out and bought a couple of Pete the Cat books, because I can really get the kids involved with those. I’ll ask, what do you think Pete’s going to do next? Or how do you think he stepped in those strawberries?” Often, they sing along about Pete’s white shoes. Susan says parents sometimes join their children at the reading table, and she knows that they’re paying attention, too. Awesome, indeed. That sounds like something Pete the Cat would say. Thank you, Susan, for sharing your time and talents! Susan is one of about three dozen volunteer readers who read regularly at a partner clinic. If you’re interested in becoming a volunteer reader, contact Marianne Sharp: msharp5@kumc.edu. Hooked on Books by the Numbers: 13,000 Books, 16 schools, 50+ Volunteers! Hooked on Books is a lot like a puzzle. 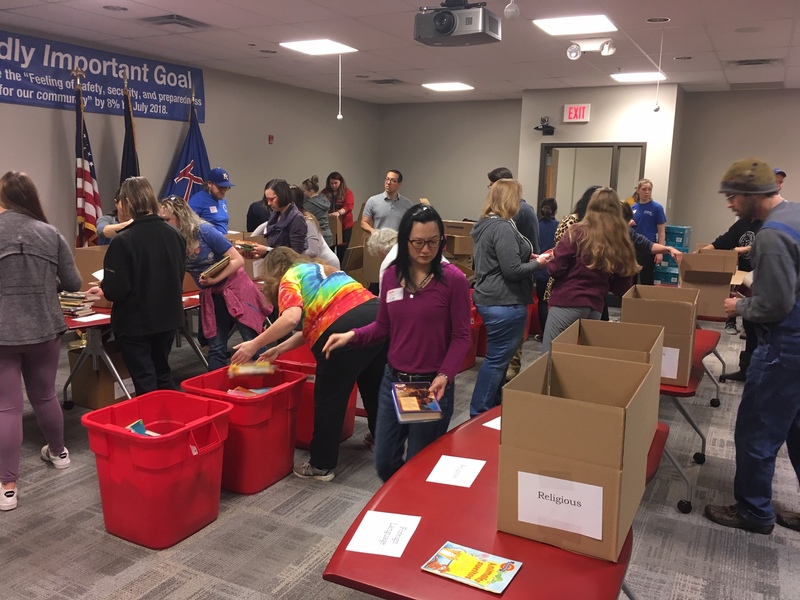 There are many pieces involved in our biggest and most important annual book drive and we are grateful to the volunteers, elementary schools and staff members who ensure that those pieces fit together perfectly. ROR-KC’s longtime Book Coordinator, Janice Dobbs, is the puzzle master. This year she coordinated with librarians and administrators at 16 different elementary schools and one business (Rainy Day Books). 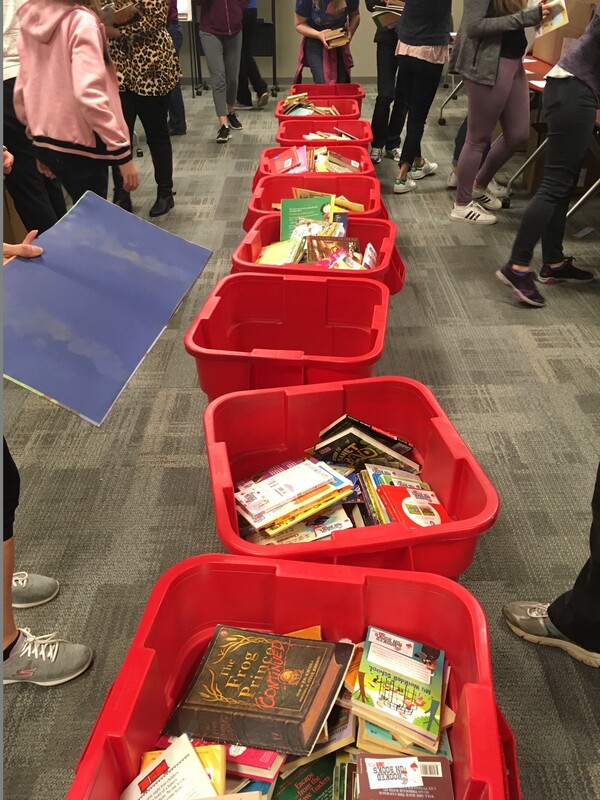 Schools ran their drives between January and March, and Advisory Board members and other volunteers helped out by dropping off big red collection bins and picking up the boxes of books. 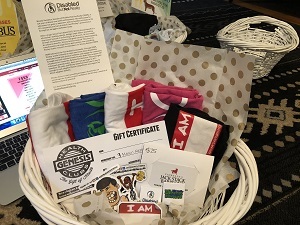 The schools compete and the winning school (the one which collects the most books per student) wins a Scholastic gift certificate and a celebration for one classroom. Congratulations to Lone Jack Elementary, for winning this year’s competition! Lone Jack collected nearly six books per student. 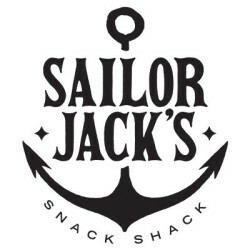 Way to go, Lone Jack! A special thank you to Denna Coulson, Library Media Specialist at Lone Jack, who put an incredible amount of effort into a successful drive. Together, all 16 schools collected 13,000 books. What do we do with all of them? Many will go into ROR-KC pediatric clinic waiting rooms for patients and siblings to take home. 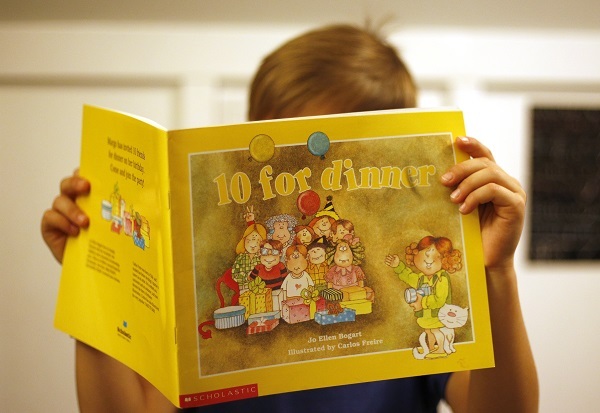 Many books appropriate for older readers were shared with ten other literacy organizations. That’s a lot of books to sort through, and a huge group of volunteers is essential! 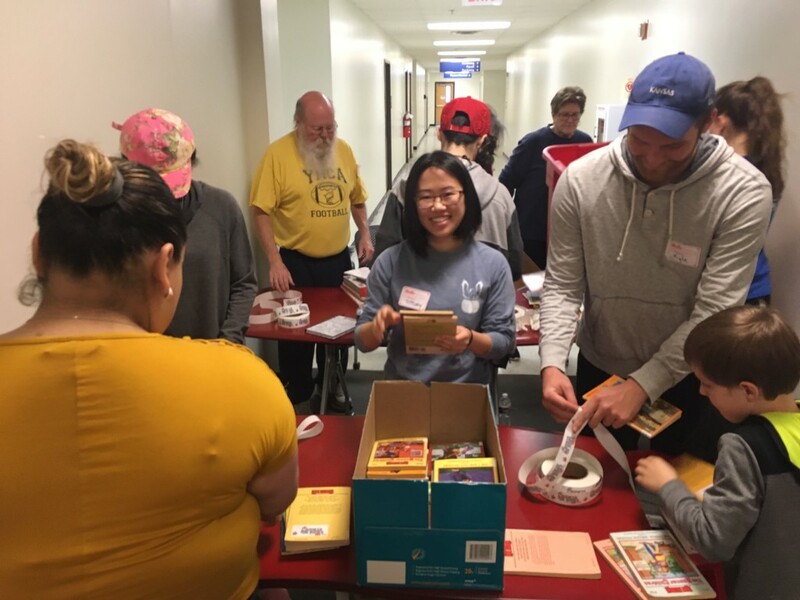 On Saturday, March 23rd, nearly 50 volunteers came to the ROR-KC offices to help us sticker and sort about 7,000 books. It was a really fun, productive morning, and we could never have done it without the great volunteers! Six volunteers from Cerner delivered the heavy boxes of books to several locations on Monday, March 25th. 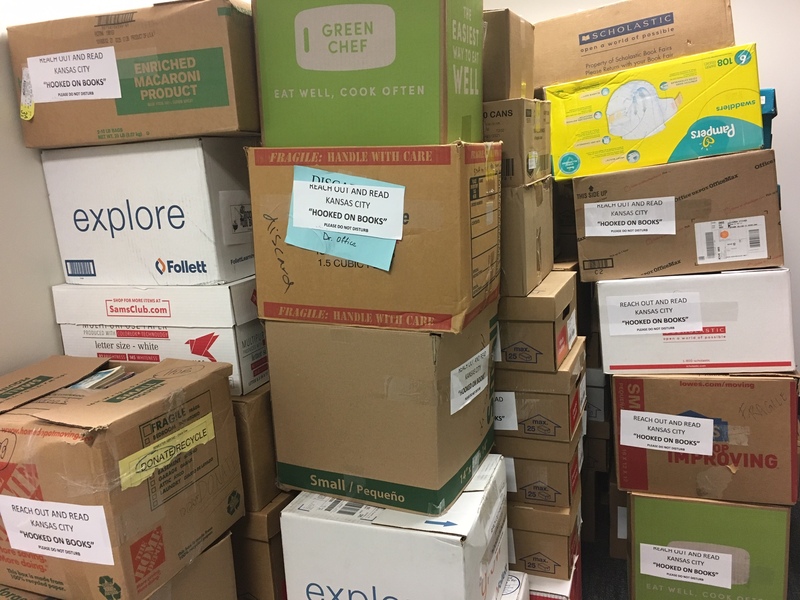 The Hooked on Books drive provided ROR-KC with enough books to stock our pediatric clinic partner waiting rooms for three or four months, which is wonderful! We are always in need of gently-used children’s books (especially board books for the little ones). If you’re interested in holding a book drive – including a virtual drive – here’s how you can help. 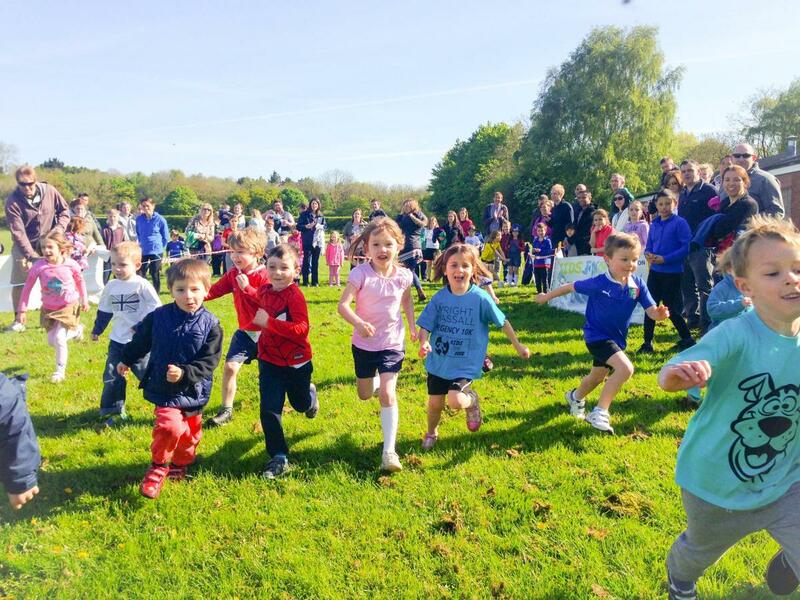 Race to Read 5K: Exciting Changes! 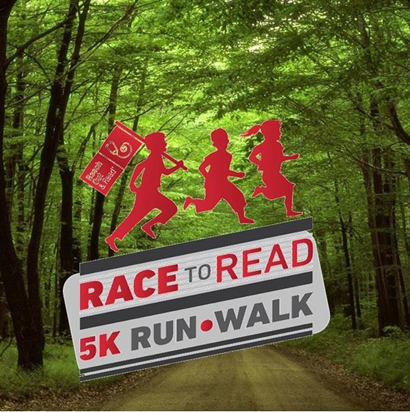 Race to Read is coming up Saturday April 6th, 2019! Wait, you might be saying, isn’t Race to Read an August event? Well, it WAS. Now, it’s a can’t-miss spring 5K run/walk and family-friendly event! There’s another important change, too. We’ve moved to Corporate Woods in Overland Park, a private flat course known for personal records. With so many new and exciting things happening with the race this year, we asked Race to Read Committee Chair (and ROR-KC Advisory Board Member) Truss Tyson to give us the straight scoop. Q: What’s different about Race to read this year? Truss: We are expecting more participants than we’ve ever had in the past, and we are very excited to host the race in the new Corporate Woods location. The change to the early spring date will also hopefully allow us to take advantage of nice weather. Q: Why are we changing locations? Truss: We are thrilled about the move to Corporate Woods, as it allows for growth in race participants and it will be a private course with no obstacles. Q: What can you tell us about the race course? Truss: It’s a very popular venue because it’s flat and wide, making it the perfect opportunity for racers to set PR’s (personal records)!! Q: What kind of event will this be? Is is still family-friends, or is it mostly for serious runners? Truss: Race to Read is for EVERYONE – all levels of experience and seriousness, and all ages. It will be a stroller-friendly race (kiddos in strollers are free), with a staggered start so that everyone can participate more comfortably. The course is only one lap, and it is a chip-time event. Q: Why should I come to Race to Read? Truss: Race to Read is an easy way to get involved with a wonderful organization, get in a quick workout (maybe setting a new PR!) and meet some amazing people! Race to Read will be Saturday, April 6th at 7:30 a.m.
We’ll have live music and a free bubble run for kids, too! Registration is $35 for 16 and older, and $15 for 15 and under. The fee includes a fun race T-shirt. When: Saturday, April 6 at 7:30 a.m. Most months, we post a book recommendation from our Book Coordinator, Janice Dobbs. 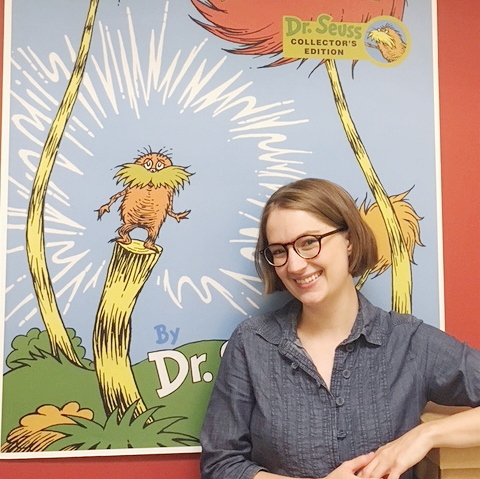 She’s spent 17 years curating the collection of developmentally-appropriate books that Reach Out and Read Kansas City provides to our partner medical clinics to hand out at well child visits. She knows books! 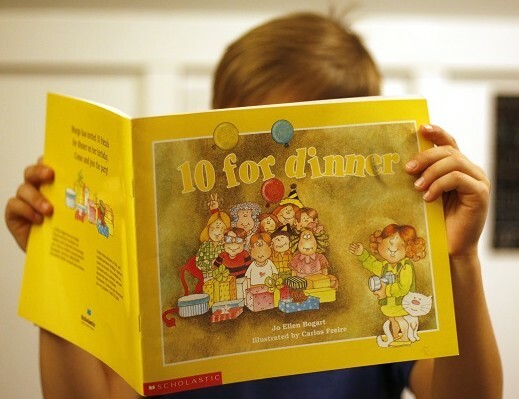 Feast for 10 – This fun counting book has amazing illustrations that children and adults alike will enjoy. 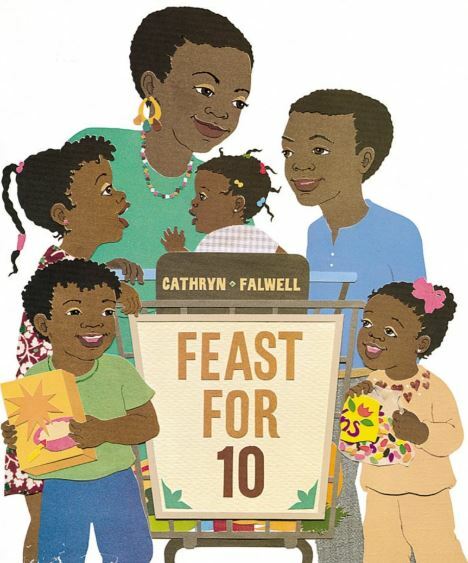 It is a book that recounts a family’s excursion to the grocery store, cooking a meal and then sharing that special meal together. The rhyming text makes it an easy read, and children will enjoy the anticipation that mounts from page to page, ending in a wonderful family celebration. It is a great segue into conversations about family traditions. This book reinforces family values and comes in paperback and board back editions. Janice Dobbs has been the Book Coordinator for Reach Out and Read Kansas City for over 17 years. She’s responsible for purchasing, organizing, and managing the delivery of more than 80,000 books annually to our partner clinics. 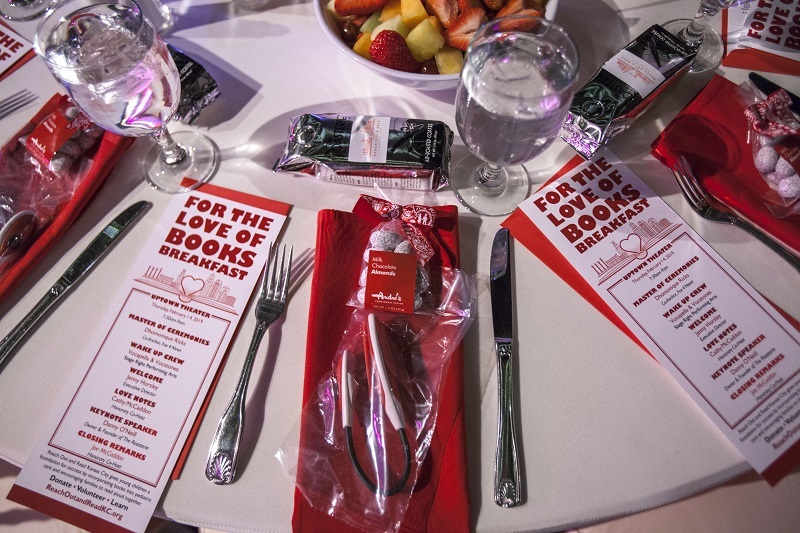 Showing a Love of Literacy: For the Love of Books Breakfast a Big Success! 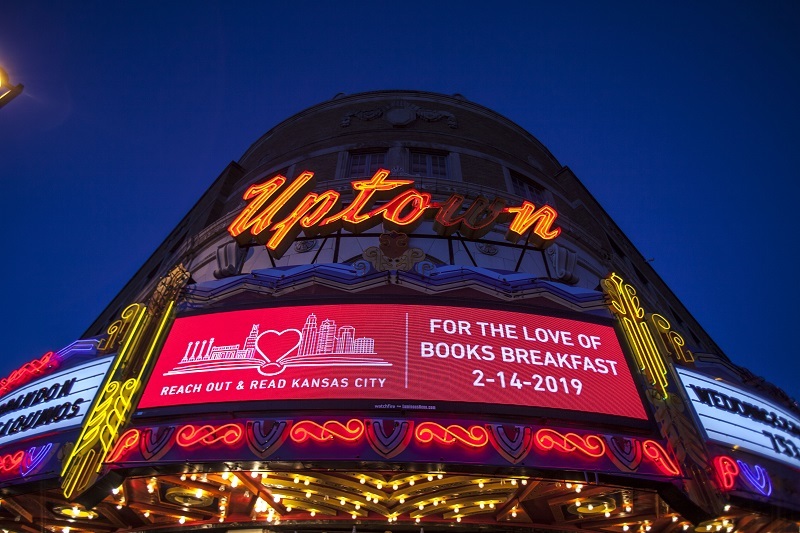 On Valentine’s Day, Kansas City really showed its love of literacy at Reach Out and Read KC’s annual For the Love of Books Breakfast! 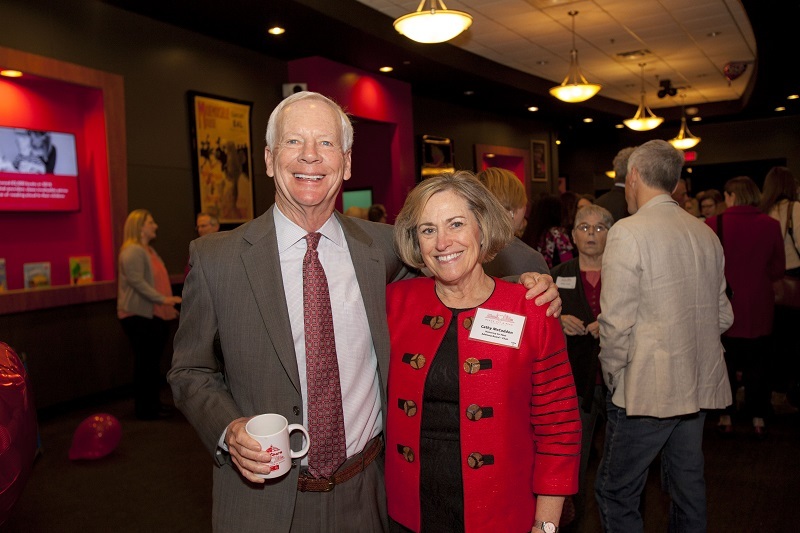 Led by honorary hosts Cathy and Joe McCaddon (Cathy is also Chair of the ROR-KC Advisory Board), the event at Uptown Theater raised over $88,000 for Reach Out and Read Kansas City, the region’s only medically-based early childhood literacy program. It’s tough to choose the highlight of the event. 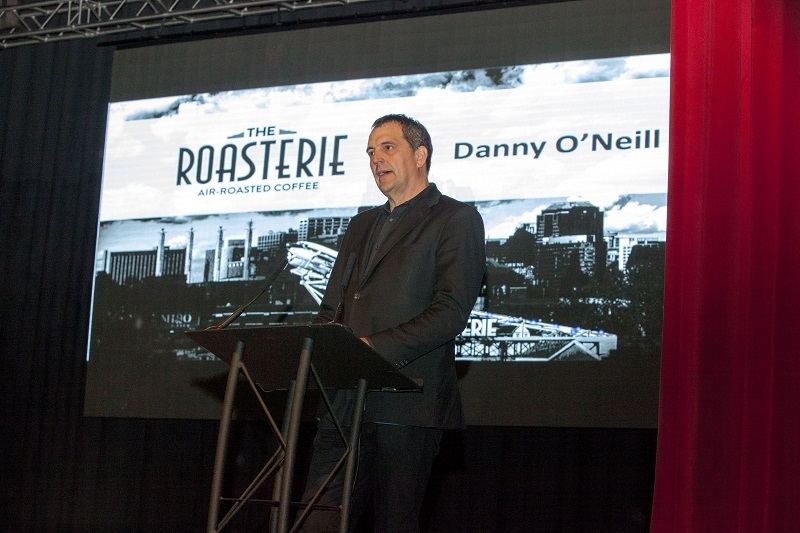 Was it Roasterie Founder Danny O’Neill’s heartfelt keynote address? Mr. Stinky Feet (aka Jim Cosgrove) and Cathy McCaddon’s rendition of Sandra Boynton’s “Snuggle Puppy?” Emcee Dhomonique Ricks of Fox 4 or the video about ROR-KC crafted by Richard Sharp of 41 Action News? 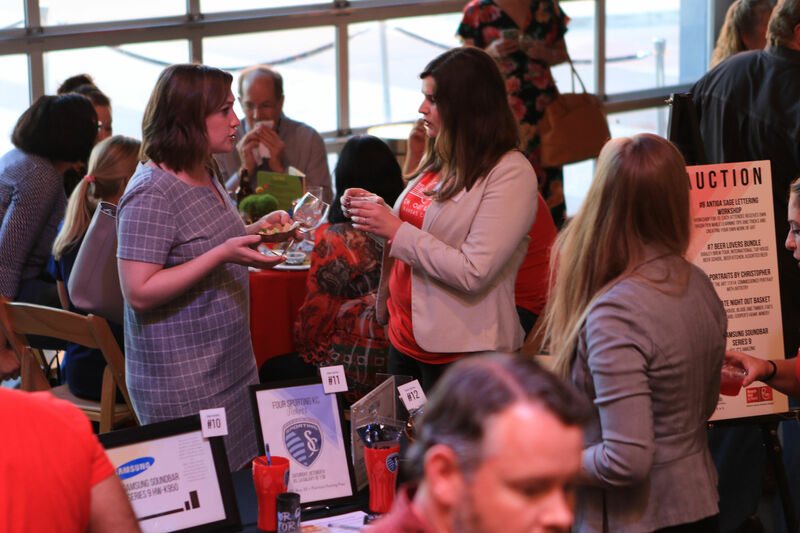 And who can forget the take-home goodies for the more than 200 attendees: Roasterie coffee, chocolates from Andres in Overland Park and book lights courtesy of CommunityAmerica. 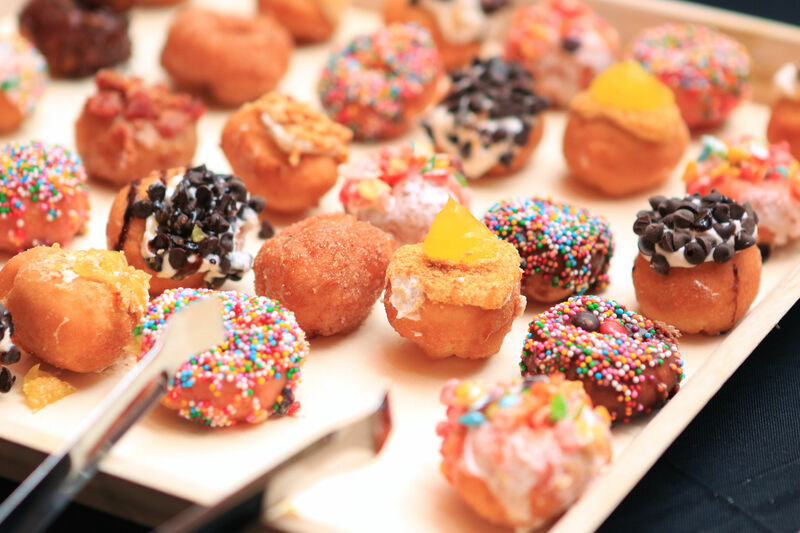 One thing does stand out: Our guests’ generosity! Day-of donations totaled more than $20,000 – nearly double our previous record. Thank you! As honorary co-host Cathy McCaddon said, you’re making a real difference in a child’s life during those critical first 1000 days and beyond. 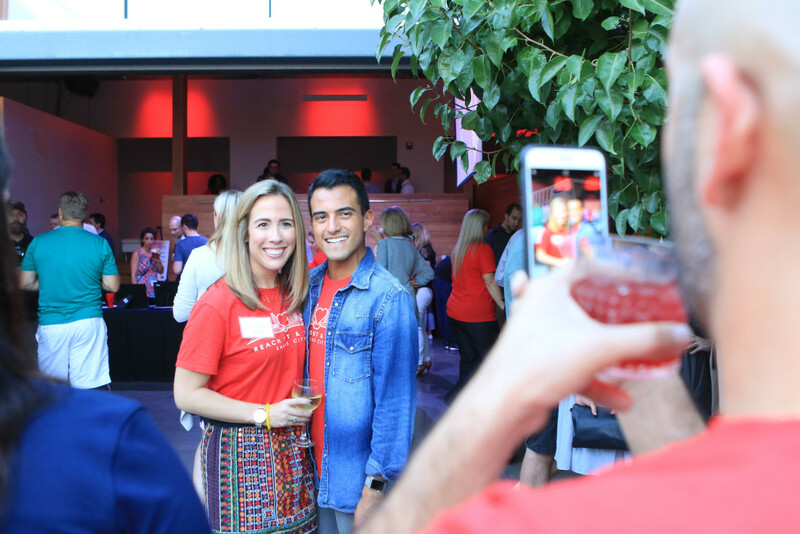 The total raised at the event was $88,220 and that wouldn’t be possible without our sponsors. That includes Honorary Hosts Joe and Cathy McCaddon, as well as the Eckert Family Foundation, which matched the first $2,500 in day-of donations. Emcee Dhomonique Ricks energized the early-morning crowd, and featured presenter Danny O’Neill spoke from the heart about the importance of literacy in his life, including memories of his father reading to Danny and his nine siblings. Check out the full photo album on Facebook, courtesy of the talented Patty Dover of Life Unstructured Photography. We also debuted a new video about the well child visit, the heart of the ROR-KC program. Check it out here on YouTube. A big thanks to Richard Sharp of 41 Action News for his help with the video! In addition, we were lucky enough to have two talented Stage Right Performing Arts choirs kick off the morning for us. Thanks to all – including the more than 200 people attendees – who made this an extra special Valentine’s Day! If you want to know how well a program is working, it’s best to ask the people who are delivering it every day. That’s why a recent survey of ROR-KC medical consultants at our partner clinics is so heartening. 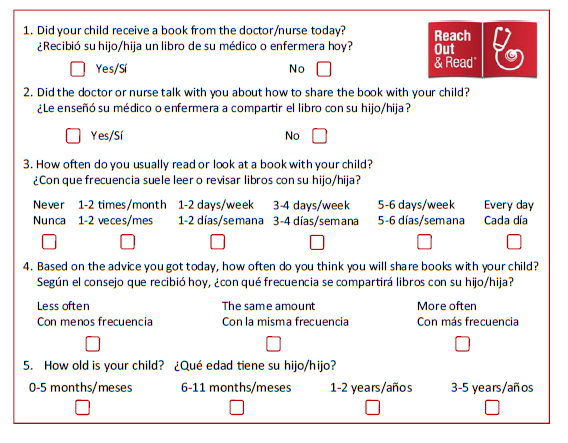 The survey was administered by National Reach Out and Read and covered a variety of topics about the program. 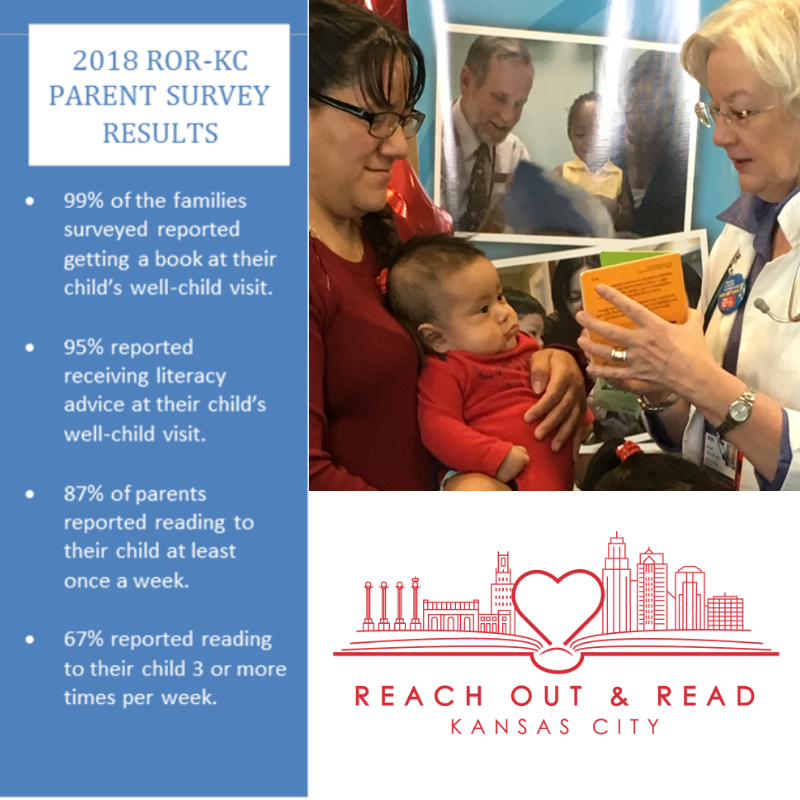 80% of our Kansas City-area respondents said they thought ROR-KC resulted in either most or many of their patients’ families reading more together. Providers felt that urgent matters like food or housing, low literacy skills for caregivers and working multiple jobs or odd hours were the biggest barriers to caregivers sharing books with their children. Thank you to our providers for the great work you do every day! 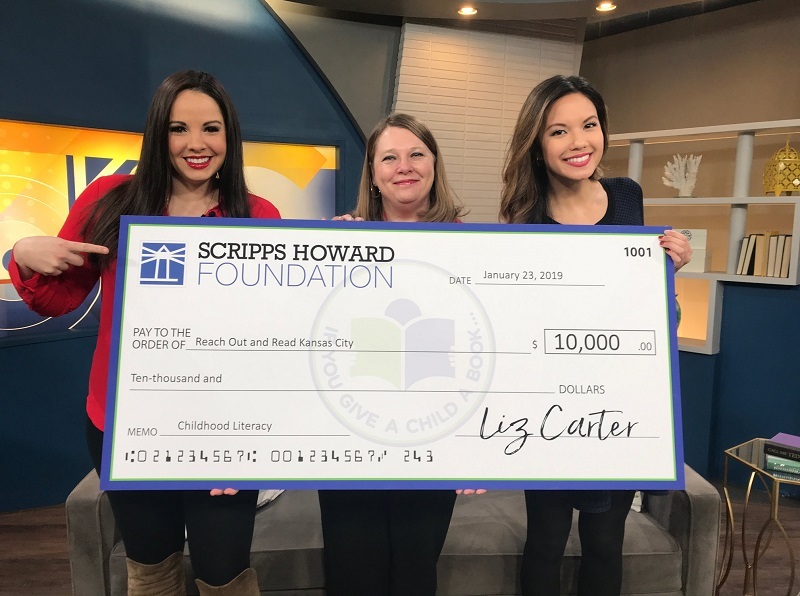 ROR-KC Surprised With $10,000 Grant on Live TV! File this one under best surprise ever. ROR-KC Executive Director Jenny Horsley was invited to the set of Kansas City Live for National Reading Day, January 23rd. 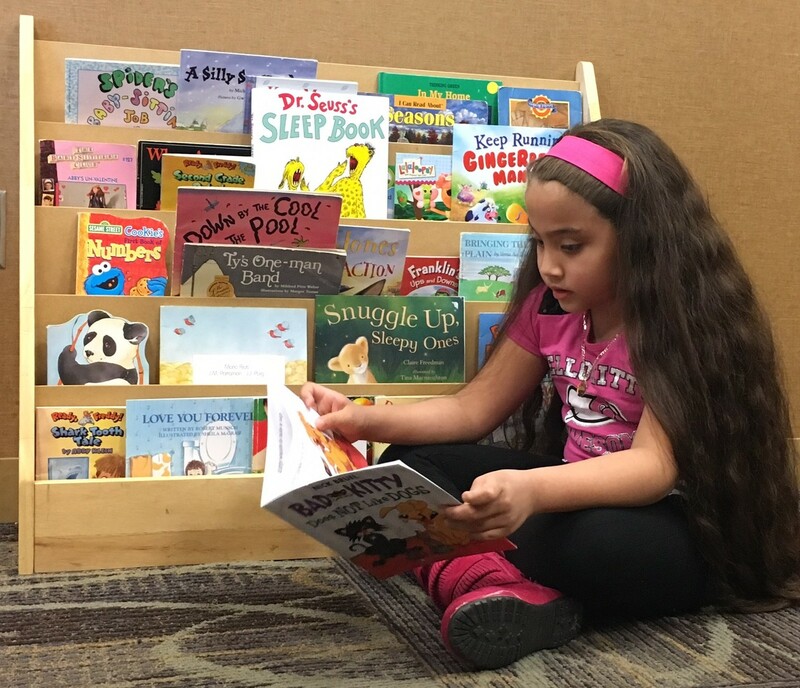 41 Action News KSHB adopted ROR-KC for its “If You Give a Child a Book” campaign, and donated over 1,300 new books to us earlier in the month (wow!). Jenny thought she was just going to be interviewed about the book donation. 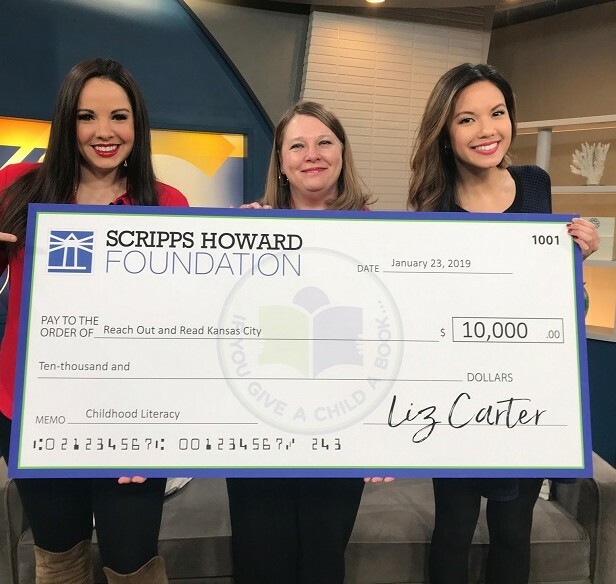 Then, as Crystle Lampitt was interviewing Jenny, co-host Kelly Nyberg walked out with a giant check for $10,000 from the Scripps Howard Foundation (E.W. Scripps is the parent company of 41 Action News and 38 the Spot)! ROR-KC had been invited to apply for a grant, but it was a national competition, and we had no idea that we’d won. It was a great day for early childhood literacy in KC. Crystle and Kelly also visited Baby and Child Associates, one of ROR-KC’s partner clinics and read to the children in the waiting room. Thanks to April Baker and Dr. Krista-Nelson Cox for their assistance! Watch the story, interview and giant check presentation here. Most months, we post a book recommendation from our Book Coordinator, Janice Dobbs. She’s spent 18 years curating the collection of developmentally-appropriate books that Reach Out and Read Kansas City provides to 50 medical clinics to hand out at well child visits. She knows books! 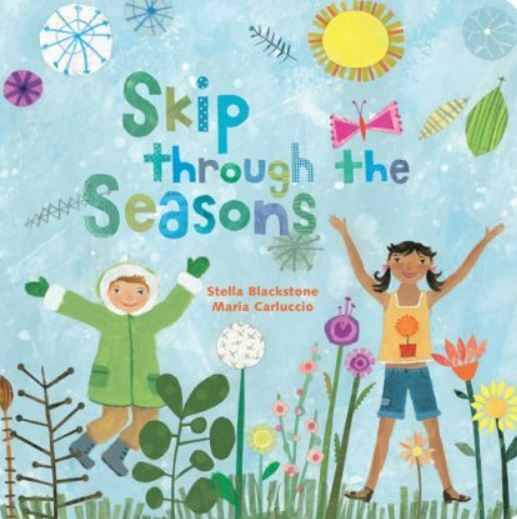 Skip Through the Seasons– This is an entertaining “seek and find” paperback book that comes in English and Spanish editions. The rhyming text is fun to read, and very quickly children will learn to pipe in on the refrain, “what can you see?” This book is chock-full of things to look at and talk about and provides a fun way to teach children about the changing seasons. It is great to read to preschoolers, who will also enjoy independently looking at it as they seek and find objects on each page. 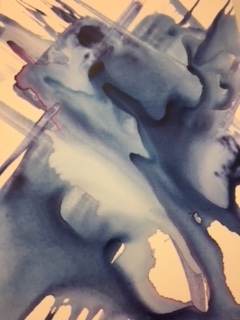 It’s a beautifully illustrated book as well! Janice Dobbs has been the Book Coordinator for Reach Out and Read Kansas City for over 18 years. She’s responsible for purchasing, organizing, and managing the delivery of over 82,000 books to our 50 partner clinics. Author Donates 4,700 Books to ROR-KC! Children at our 50 partner clinics in the Kansas City area are receiving a beautiful new book, courtesy of author Phyllis Grann. 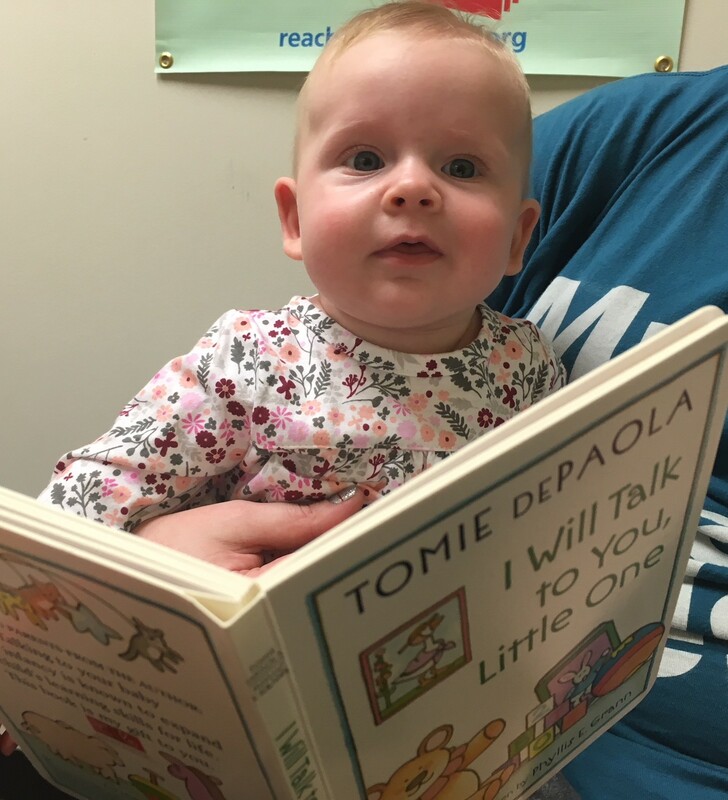 I Will Talk to You, Little One was written by Grann and illustrated by award-winning children’s book author and illustrator Tomie dePaola, and will be handed out to families at well child visits for two-to-four-month-olds. Grann donated 220,000 copies of the colorful book to National Reach Out and Read, which distributed them among many ROR programs around the country. 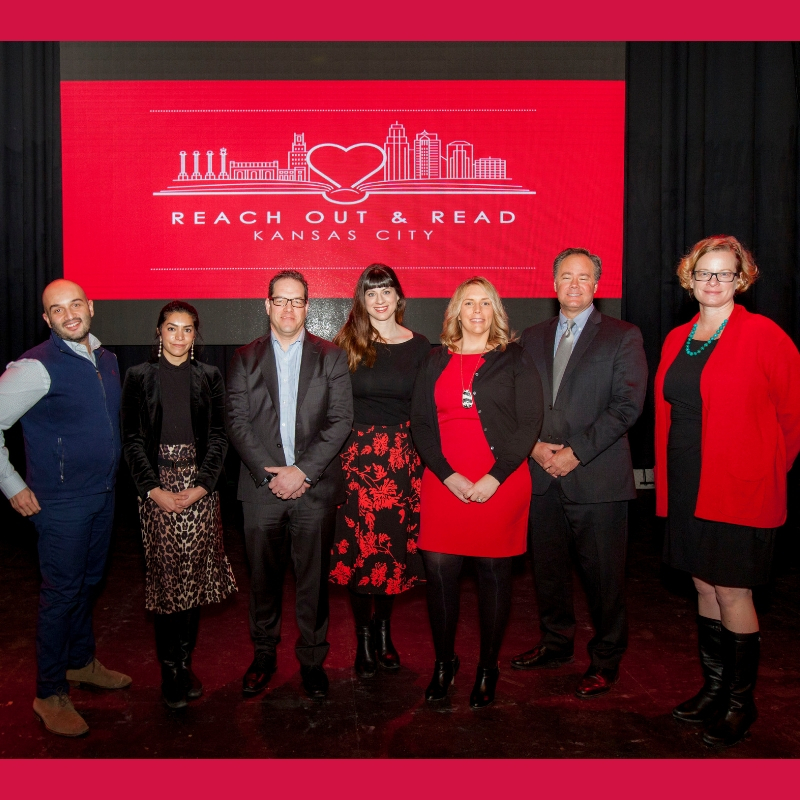 Reach Out and Read Kansas City was thrilled to receive 4,700 copies. Our Book Coordinator, Janice Dobbs, calls the book “perfect,” noting that our book budget is tight, and this is a wonderful gift. “This book does a great job of relaying the Reach Out and Read message while also being an engaging book that I know parents will enjoy sharing with their little ones,” says Janice. Hooked on Books: Our Biggest Book Drive! We’re Signing Schools Up Now! 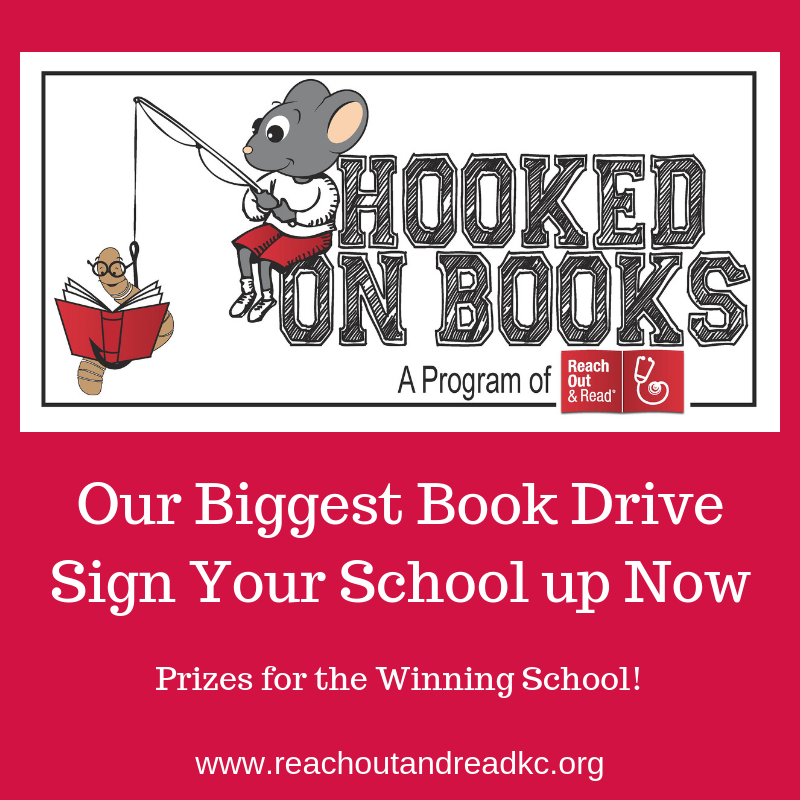 Get registered now for Hooked on Books, Reach Out and Read Kansas City’s biggest annual book drive! Every year, schools throughout the region collect thousands of gently-used books for us (roughly 20,000 last year! ), and we use them to stock pediatric clinic waiting rooms. Patients and siblings can take these books home to read with their families. By some estimates, nearly two-thirds of low-income families in the U.S. do not have books for children at home. Click here to learn more. We are trying to change that. Hooked on Books is critical, as we generally collect about half of the waiting room books we distribute during this major drive, which takes place between January and March. To make the drive more fun, schools compete, and the school that collects the most new and gently used books per student wins a pizza party for one classroom, a $500 gift certificate to use at their next Scholastic book fair, and of course, bragging rights! If you think your school would be interested, please share this information with your principal or a librarian. Click here for more information. Click here to sign up your school. We also share some of the books collected with other worthy organizations. Please click here for more information on how to apply to receive books. Thanks to the schools that have signed up already! We are looking forward to a successful drive! You can’t have breakfast without a good cup of coffee, right? 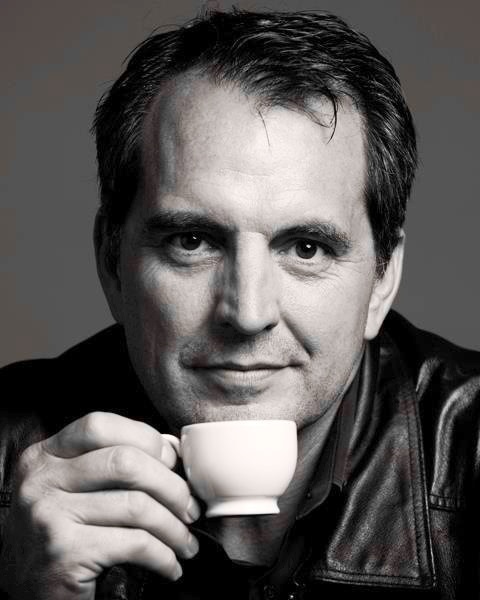 Caffeine aside, this year’s For the Love of Books Breakfast will really perk you up, as we’ll be hearing from Kansas City’s own “Bean Baron,” Danny O’Neill, founder and owner of the Roasterie. 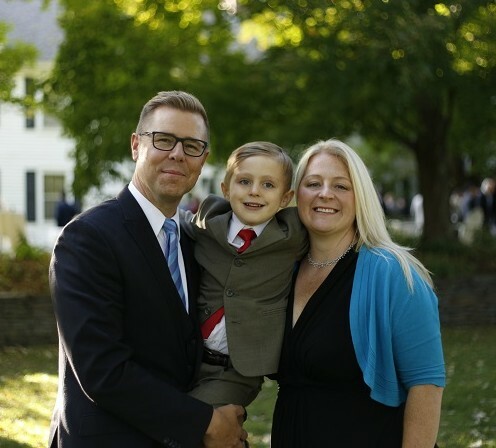 Danny is a life-long Midwesterner who grew up in Iowa and moved to Kansas City after college to earn his MBA from the Rockhurst Executive Fellows Program. 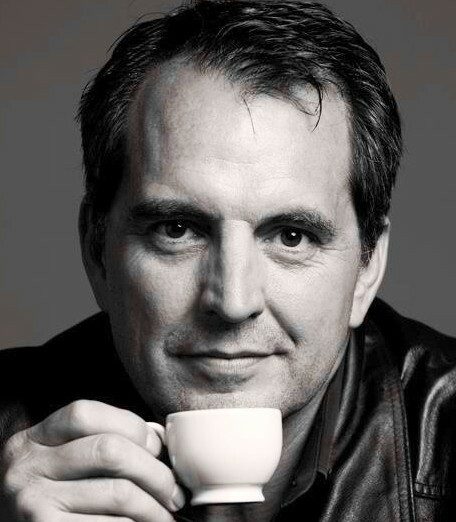 He fell in love with freshly roasted and brewed coffee while he was living in Costa Rica as a foreign exchange student and launched his business in his Brookside basement in the 90’s. Now, Roasterie coffee is served in KC’s finest cafes, restaurants and institutions, and its air-roasting factory is located under the Douglas DC-3 airplane at 27th Street and Southwest Boulevard (you can’t miss it). To hear Danny’s speech and support early childhood literacy, join us at the For the Love of Books Breakfast on Thursday, February 14th at 7:30 a.m. We are still accepting sponsorships, and you can buy individual tickets here. Books make great gifts and encourage families to read aloud together all year. We thought you might like a few ideas as you finish up your holiday shopping. We’re focusing on local authors and illustrators, because Kansas City is rich with local talent. This is just a small sampling, and we hope to feature more local authors and illustrators in the future! This is a darling picture book that elicits lots of laughs and warm fuzzies. 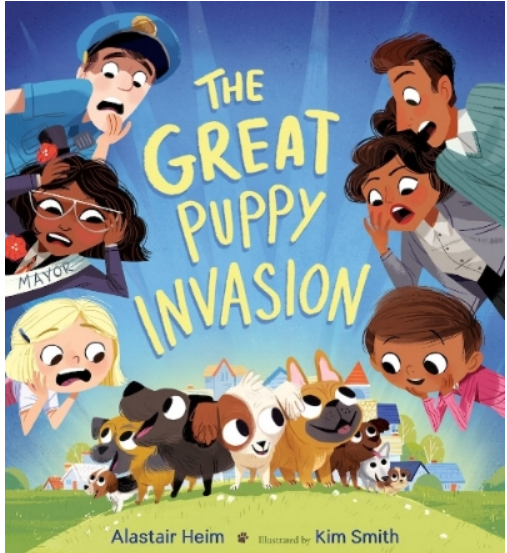 From Heim’s website: “…a horde of puppies shows up in Strictville, a no-nonsense, no-fun town that has never seen puppies before.” The result is hilarious and heartwarming. Heim was the featured speaker at ROR-KC’s “For the Love of Books” Breakfast last year. Learn more about him in this blog post. 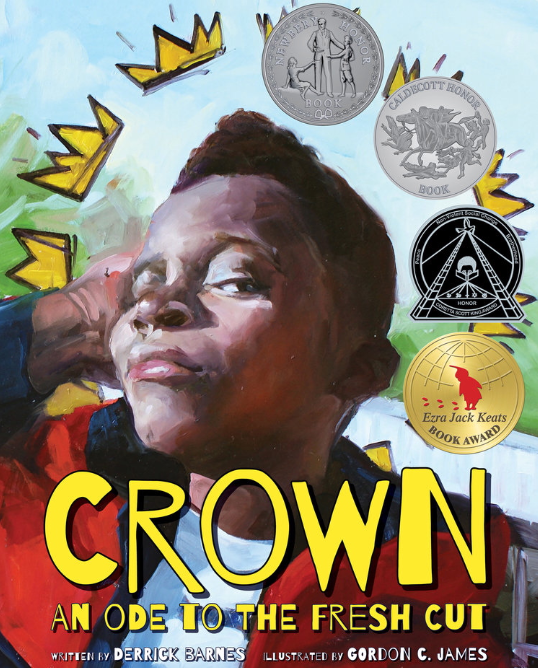 This gorgeous picture book is a Caldecott Honor Book, a Newberry Honor Book, a Coretta Scott King Author Book – and the list goes on. It describes a young African-American boy’s visit to the barbershop, and the feeling he gets from the experience. From Barnes, via his website: “It’s a poem about self affirmation and how the world may not see your brilliance, or your beauty, but you do, and everyone around you that loves you can definitely see it, recognize it.” Check out this article and radio interview with Derrick Barnes from KCUR. This board book has beautiful hand-painted illustrations and can’t help but make you feel proud to live in the Kansas City area. It’s a great way to introduce little ones to all that KC has to offer. 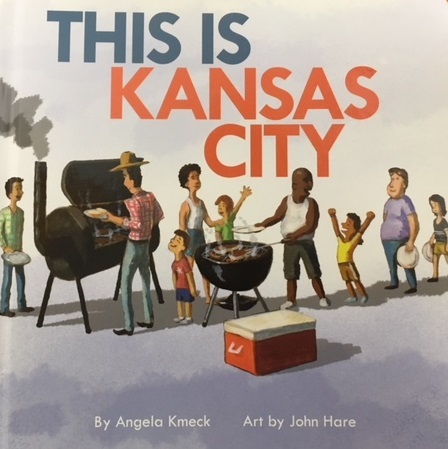 Some children at ROR-KC partner medical clinics will be receiving this book, too, thanks to a generous donation from Angela Kmeck and John Hare! 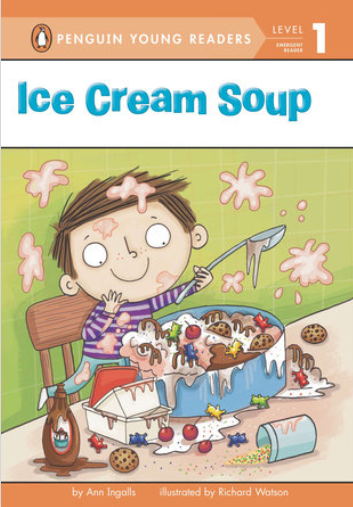 This sweet rhyming book is perfect for beginning readers who will laugh at the delicious mistake that ice cream soup turns out to be. This bright board book (available previously as a picture book) is full of primary colors and carries with it a loving message. From ShaneEvans.com: “This is a tribute to the joy of unconditional, parental love.” Check out this episode of KCPT’s “The Local Show” for an interview with Shane Evans. It’s been a fantastic year for Reach Out and Read Kansas City, and it’s all thanks to you: our volunteers, donors, clinics and families. Thank you! 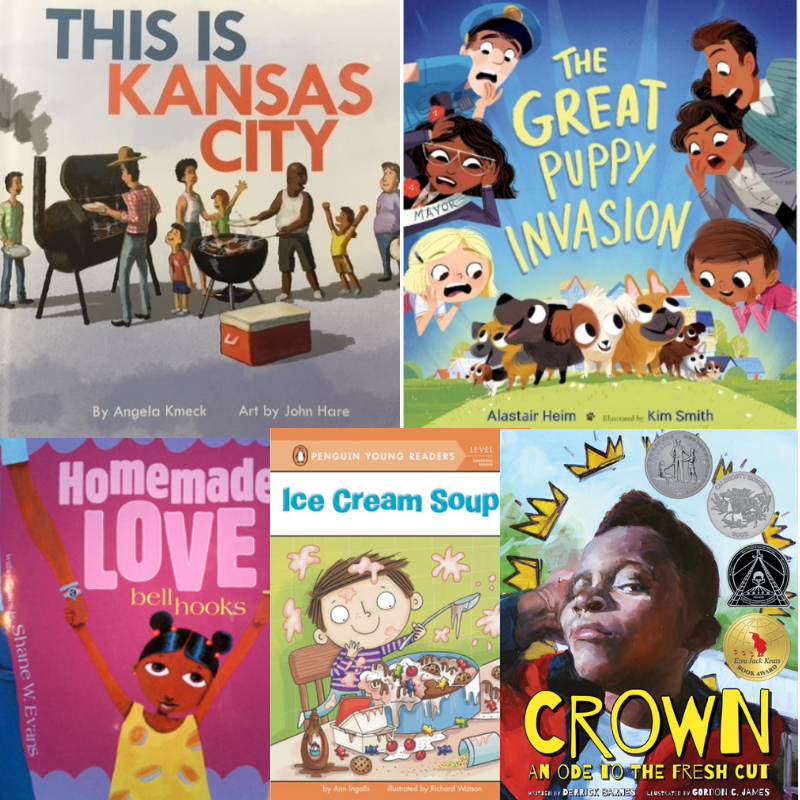 We are thrilled to report that ROR-KC was able to provide 82,000 new, developmentally-appropriate books to 29,326 children at well child visits during fiscal year 2017-2018. Children from birth through age five at 50 partner medical clinics in the Kansas City area receive our books, and families get a prescription to read from their provider. Thanks to our program, there were 76,247 opportunities for medical providers to educate parents about the importance of sharing books with their children last year. This, along with books to take home, is what can make the difference in children entering school prepared. Data from National Reach Out and Read show that children who go through the ROR program enter school three-to-six months developmentally ahead of those who do not. At ROR-KC, it is truly a team effort. Medical providers and clinic site coordinators along with ROR-KC’s small staff work with a huge group of volunteers to promote early childhood literacy in our community. 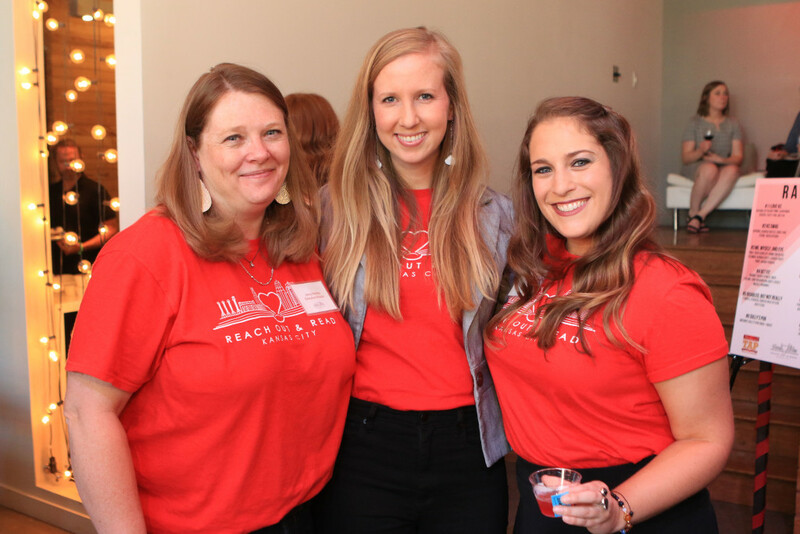 During fiscal year 2017-2018, volunteers spent 7,199 hours working as readers in clinics, helping in our office, organizing and planning fundraisers and events and more. Volunteer readers (those who read to pediatric patients in clinic waiting rooms) accounted for 2,010 of those hours. We had 84 volunteer readers last year – and that number is always growing. Click here to learn more about volunteering with ROR-KC. Waiting rooms are important places to encourage literacy as well. 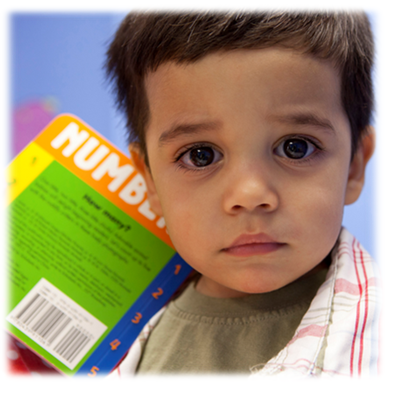 We collected 39,968 gently used and new books last year, and 22,318 of those went to our clinic waiting rooms. Children can read them in the office and choose one to take home at each visit. 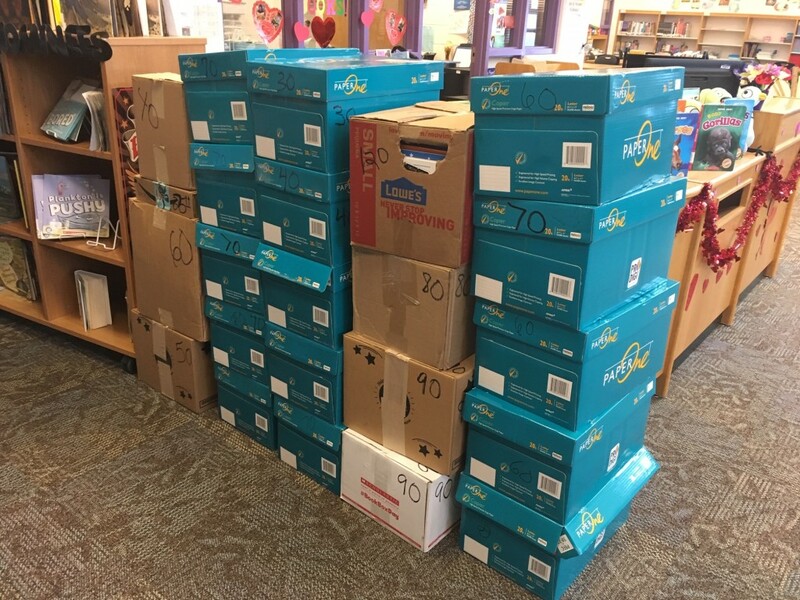 Our annual Hooked on Books drive, which included 13 schools in 2018, collected 17,650 of those books. Donations and drives held by individuals and businesses made up the rest. 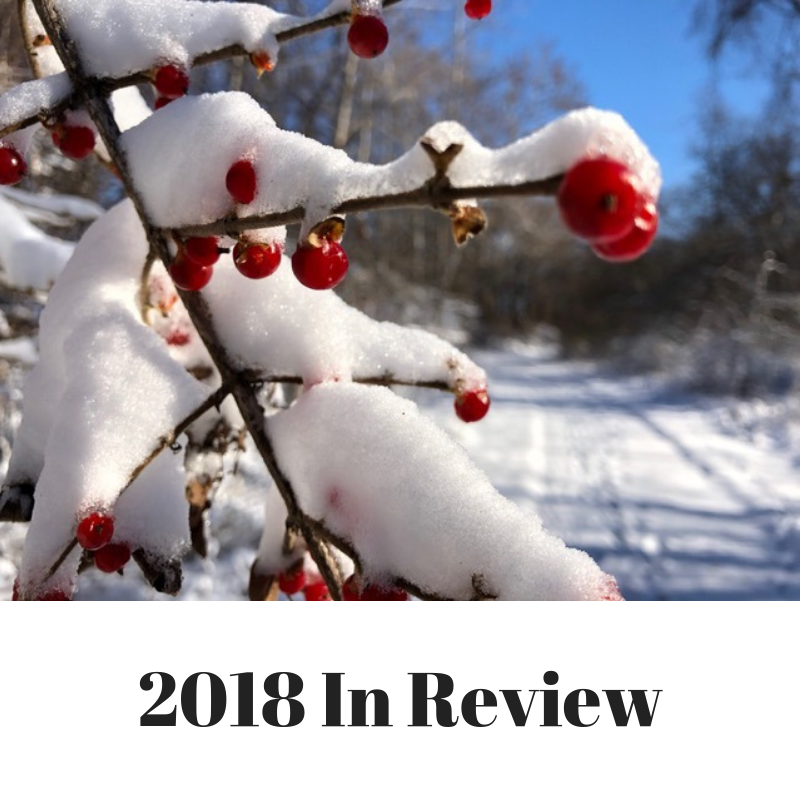 Our events were very successful this year, thanks to dedicated committees of volunteers, who worked tirelessly to secure donations and plan fantastic, fun gatherings. 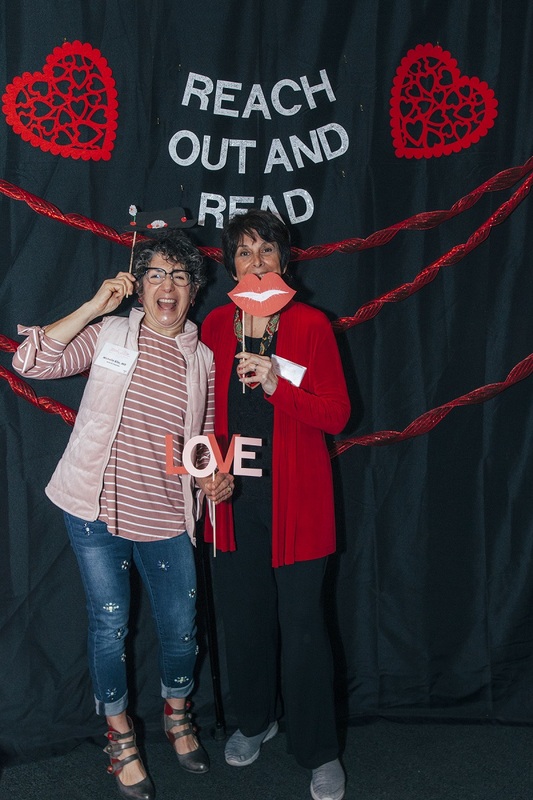 Our “For the Love of Books” Breakfast (our 21st annual breakfast) raised $89,800, Our 7th annual networking happy hour, “Books On Tap,” raised $7,249 and our 2nd annual “Race to Read 5K” raised $4,822. Here’s to a literacy-rich, successful 2019 for all of us! Click here to give the gift of literacy now. New local survey results show that Reach Out and Read Kansas City is reaching families and children and influencing reading habits. 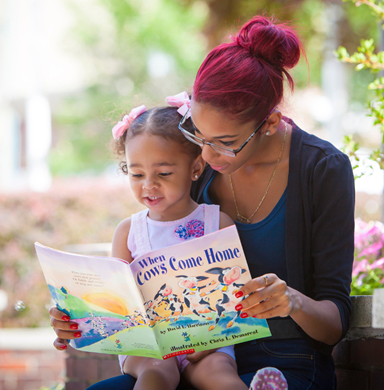 Of the more than 1,100 parents who filled out our annual parent questionnaire, 87% reported reading to their children at least once a week, and two-thirds (67 %) said they read with their children three or more times each week! This is slightly higher than last year’s results, when 66 % reported that they read with their children three or more times a week. ROR-KC surveys parents through our 50 medical clinic partners each fall. For 2018, 99% of families reported getting a book at their well child visit, and 95% reported getting literacy advice during that visit as well. These are the touchstones of our program, which encourages early reading, talking and playing with children to foster healthy development and help close the achievement gap as children enter kindergarten. The brief survey (see below) includes five questions that are aimed at helping us to ensure that the program is being delivered as it is designed to be, and to assist us – and our medical partners – in improving it. It is in both English and Spanish. National Reach Out and Read data show that children who have gone through the ROR model are three to six months ahead developmentally of those children who have not had the advantage of the program. 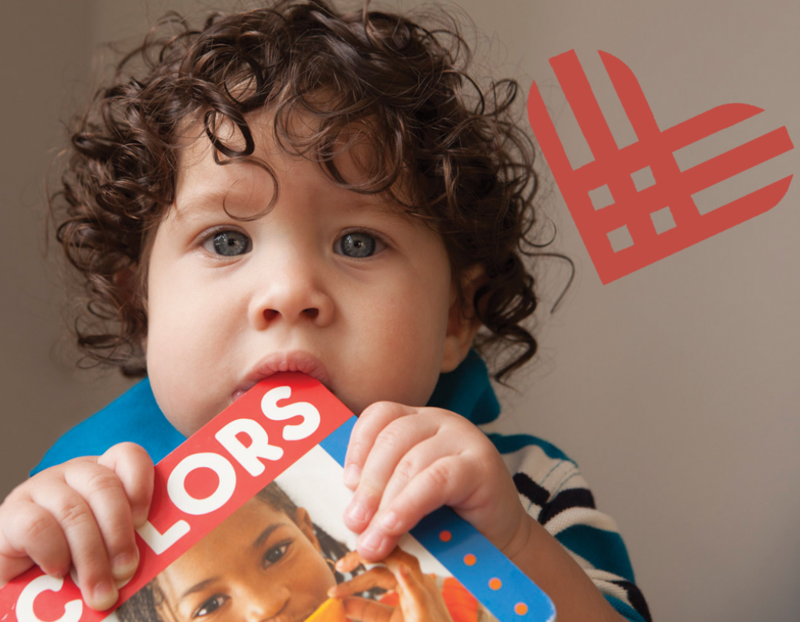 You gave generously to our #GivingTuesday campaign, raising a total of $4,767 in the month of November to support early childhood literacy, including $2,790 on #GivingTuesday alone. No other ROR-KC #GivingTuesday effort has even come close to that. You are amazing! We are humbled and grateful, and thrilled about the books your donations will allow us to purchase for children and families to receive during well child visits at our 50 partner clinics. We are proud to continue delivering the only medically-based literacy program in the area. We also have 31 Founding Members of the brand new ROR-KC Librarian’s Club, a dedicated group of literacy supporters who donate $100 or more annually. 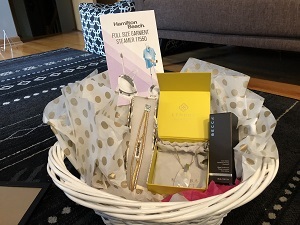 Members receive perks throughout the year, such as invitations to exclusive events, extra raffle tickets and an entry into a quarterly prize drawing. 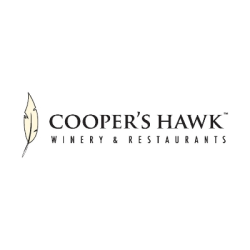 You can join as a 2019 member by clicking here. #GivingTuesday is a global day of giving after the Thanksgiving holiday and the frenzy of Black Friday and Cyber Monday. Learn more about the worldwide effort here. Each month, we post a book recommendation from our Book Coordinator, Janice Dobbs. She’s spent 17 years curating the collection of developmentally-appropriate books that Reach Out and Read Kansas City provides to 50 medical clinics to hand out at well child visits. She knows books! Janice Dobbs has been the Book Coordinator for Reach Out and Read Kansas City for over 17 years. She’s responsible for purchasing, organizing, and managing the delivery of over 82,000 books to our 50 partner clinics. The Librarian’s Club: Become a Founding Member in November! 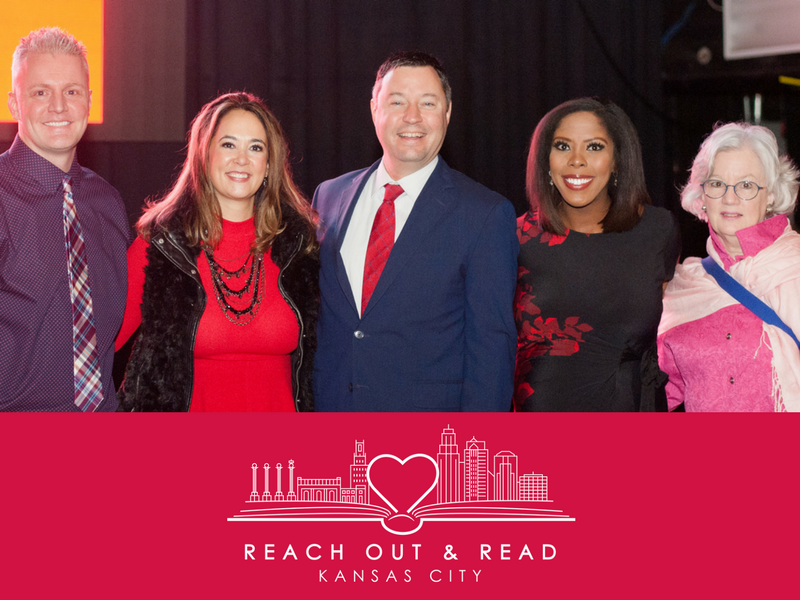 Reach Out and Read is launching a new club of supporters who donate $100 or more annually to support ROR-KC and early childhood literacy in our community, and we’re offering a special incentive to those of you who join right away. By joining our Librarian’s Club you become part of a unique support system that honors our mission. 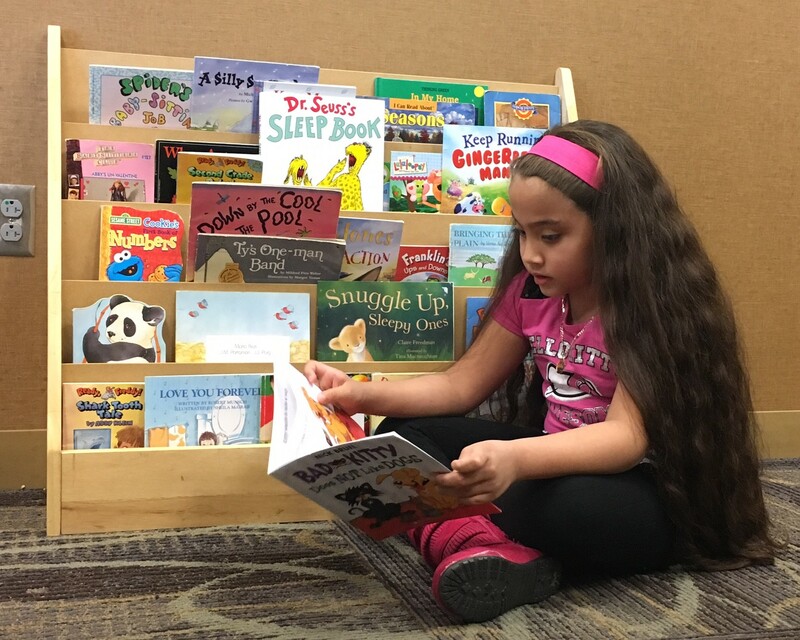 You will be helping to provide a foundation for success for Kansas City’s children through providing quality books at pediatric visits and encouraging families to read aloud together. If you join the Librarian’s Club anytime in November 2018 (it’s automatic with any donation of $100 or more), you’ll become a Founding Member of the club. This is a one-time opportunity to belong to this small group of dedicated supporters. Starting December 1st, you can still join the club, but you’ll no longer become a Founding Member. 4. Most importantly, the knowledge that you’re doing more to support early childhood literacy in the Kansas City area. We have other #GivingTuesday opportunities, too. Check them out here! 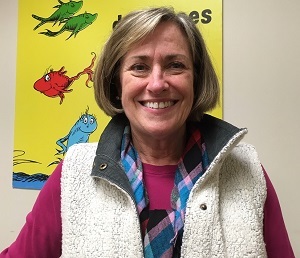 At 2 p.m. most Wednesdays, you’ll find Reach Out and Read Board Chair Cathy McCaddon at Vibrant Health in Kansas City, Kansas, straightening up books and asking children whether she can read a story to them. “I love it,” she says. “I sit in the waiting room with a big cart of books that Reach Out and Read has provided…and I’ll say ‘you want to come over? 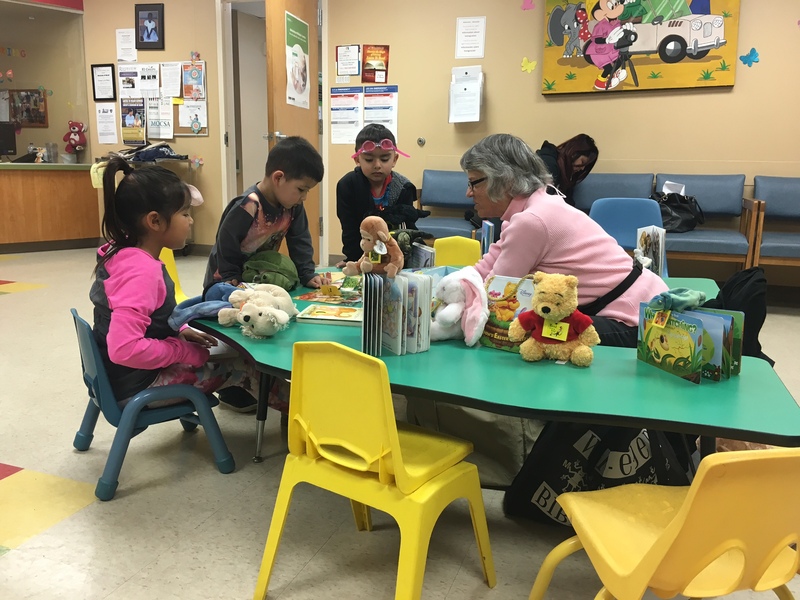 We’re reading a book.’ And often their older brother or sister will come as well.” Most of Vibrant’s patients speak Spanish, and Cathy even took a few Spanish classes so that she could communicate with them more effectively. “It really helped, even just to know a few of the words,” she says. Reach Out and Read is lucky to have Cathy as its Board Chair. Thanks for spending your time and energy promoting early childhood literacy in our community, Cathy! 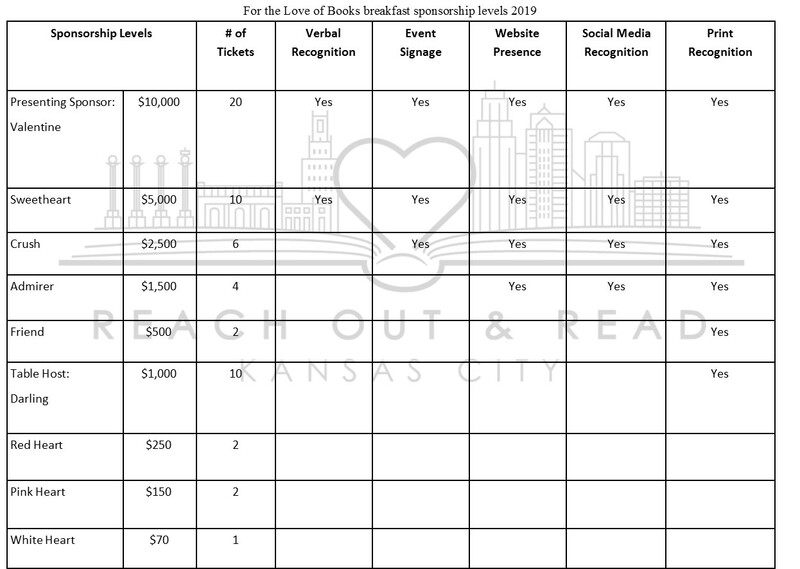 How did you get involved with Reach Out and Read Kansas City? What are some of your goals as Chair of Reach Out and Read? You’re interviewing a lot of potential new board members now. How’s that going? What is it about Reach Out and Read that drew you in – and makes you want to stay involved? You also volunteer as a reader at one of our clinics (Vibrant Health in KCK). What has that experience been like for you? What’s your favorite children’s book? Do you have a favorite reading-based memory? There’s the frenzy of Black Friday and Cyber Monday…and then there’s feel-good #GivingTuesday, a day to give back to your community. As people around the nation – and the world – take part in this effort, we hope you’ll join in by donating to Reach Out and Read Kansas City. We are thankful for you: our volunteers, donors, medical clinic staff and providers, board and event committee members, and families who participate in the program each year. Show your Gratitude: If you donate to ROR-KC in November, you’ll have the opportunity to include the name and e-mail address of someone special, and we’ll send them a note, letting them know you made a gift in their honor because you’re thankful for them. Matching Money! Kathy Palermo and The General Federation of Women’s Clubs have generously offered to match the first $100 in donations that ROR-KC receives on #GivingTuesday. If you give that day, your gift is worth even more! 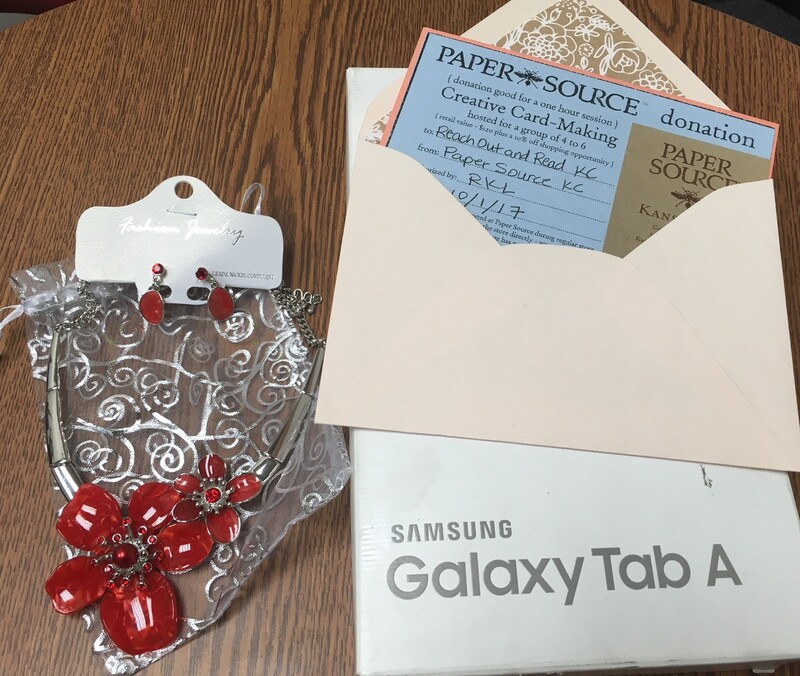 Thank you to the GFWC! Raffle: All November donors will be entered into a raffle to win KU basketball gear, including hats, shirts, belts and more, as well as a Chick-Fil-A $10 gift card. We hope you’ll consider supporting ROR-KC, the only medically-based early childhood literacy program in the area, this #GivingTuesday. 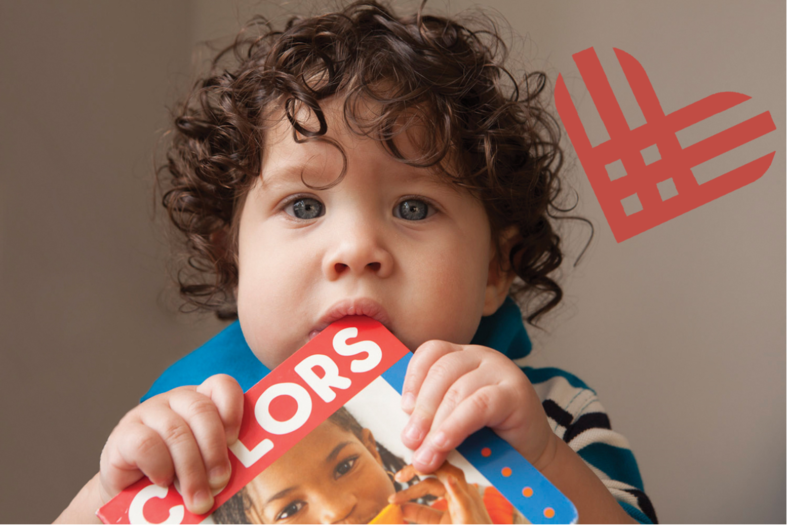 Your $70 donation covers books and advice for one child throughout all 14 well child visits from birth to age five. 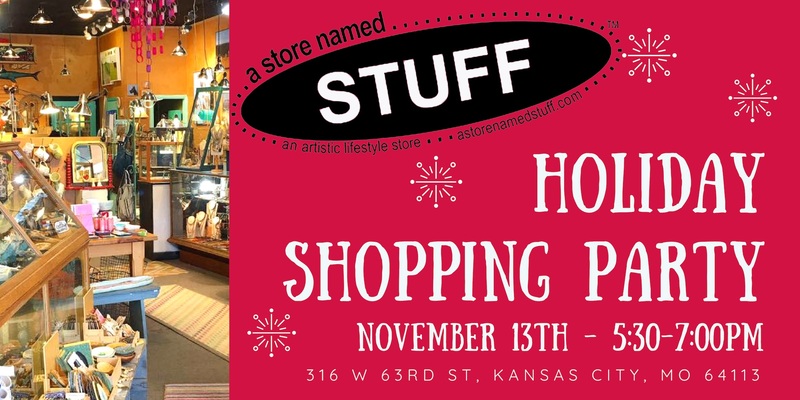 Join Reach Out & Read Kansas City for a charity party at “a store named STUFF“ on Tuesday, November 13th, 2018 from 5:30-7:00 p.m.
STUFF will donate 15% of all sales during that time to ROR-KC. 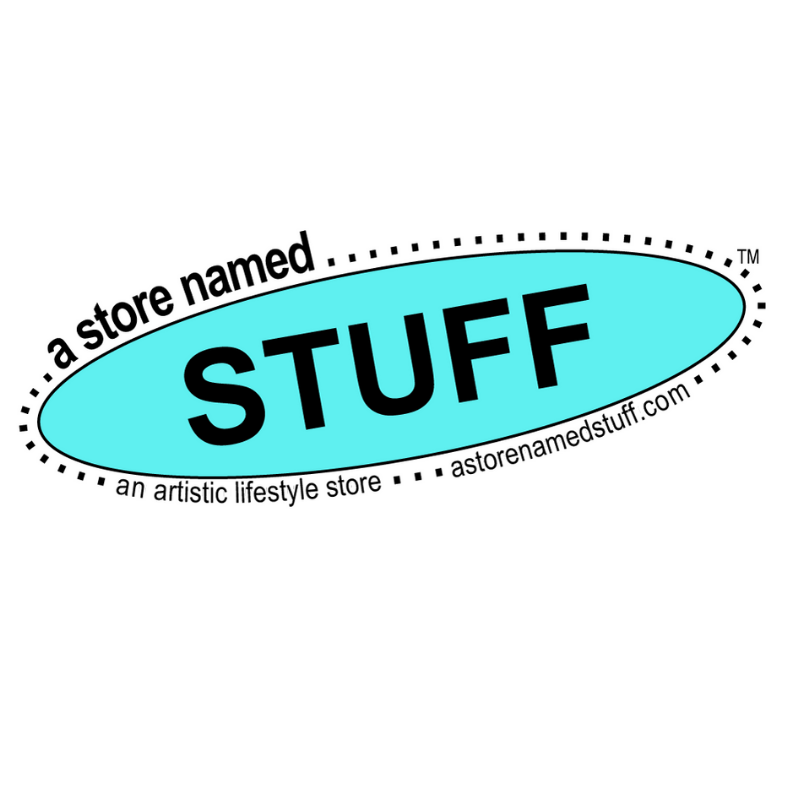 Thank you STUFF! 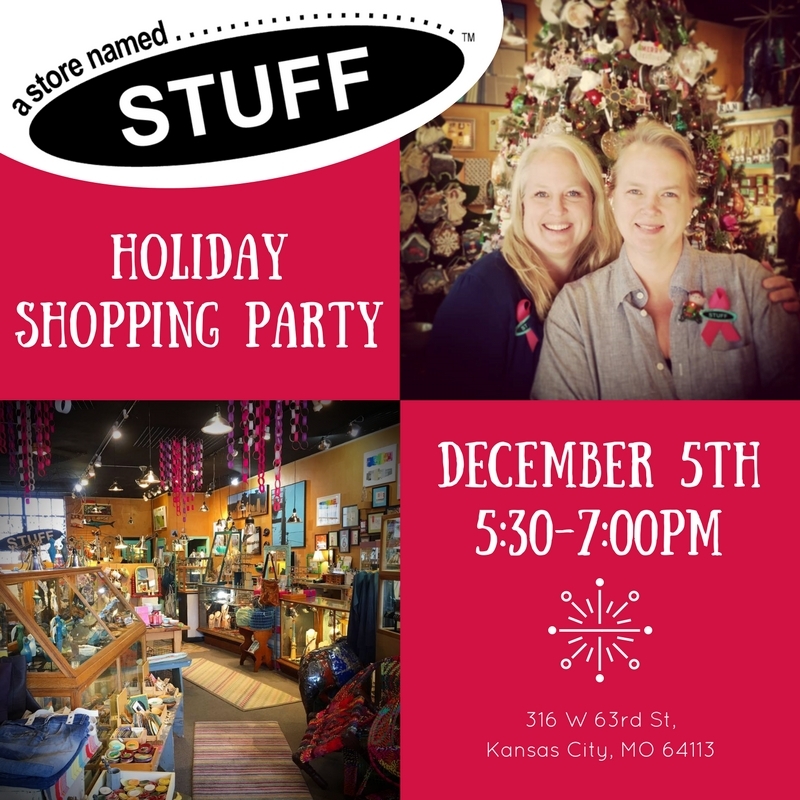 Explore the store’s unique items, have a drink and a snack and do some holiday shopping while supporting early childhood literacy! We’ll have staff members on hand and would love to see you and say hello. It’s free to attend, but be sure to register so you’ll get a reminder email. You can do that by clicking here. Each month, we’ll be posting a book recommendation from our Book Coordinator, Janice Dobbs. She’s spent 17 years curating the collection of developmentally-appropriate books that Reach Out and Read Kansas City provides to 50 medical clinics to hand out at well child visits. She knows books! Parents and caregivers, here’s another reason to keep chatting with your children while reading to them. A study published recently in the Journal Pediatrics finds that talking with your child often, or “conversational turns,” may have a positive impact on the child’s language development and IQ as much as ten years later! Reach Out and Read’s National Medical Director, Perri Klass, co-authored a commentary that accompanied the study (she was not involved in the study itself), and calls the findings “especially remarkable, given the heterogeneity of children’s experiences as they grow up.” In the commentary, Klass and her co-author, Dr. Alan Mendelsohn, note that the “study findings support ‘primary prevention’ of disparities in development and school readiness, beginning early in life before their onset.” Klass and Mendelsohn cite Reach Out and Read as the “most established scaled program” in this area. This study is really heartening, and it supports our mission of increasing kindergarten readiness in at-risk communities by giving families the tools and training they need to succeed. Click here to read the full article from the Journal Pediatrics. Click here to read the commentary co-authored by Reach Out and Read’s National Medical Director Perri Klass. Click here to read an article from ABC News about the study. Reach Out and Read Kansas City is happy to welcome our new Communications Coordinator, Marianne Sharp. Marianne has spent 20 years in journalism, mostly at NPR stations. She’s been a reporter, managing editor and bureau chief, and covered state government for many years in California. She’s also worked as a college journalism instructor and preschool aide, and spends a lot of time volunteering in her 6-year-old son’s elementary school classroom and library. She’s very passionate about early childhood literacy and is thrilled to be working with ROR-KC. She’ll be working part-time, handling traditional and social media and helping with volunteers and events. If you have an idea for a newsletter or social media post, please let her know at msharp5@kumc.edu. She also reminds everyone who’s a fan of ROR-KC to follow up on Facebook, Twitter and Instagram. We wish the very best of luck to Christina Larkins, whose year-long Americorps VISTA (Volunteer in Service to America) term with ROR-KC ended in late August. She came to us with a passion for early literacy and a dream to one day work as a children’s librarian. Over the past year, she’s worked tirelessly as the voice of ROR-KC and as a youth associate at the Plaza Library. She’s moving on to a new children’s library role. Thanks, Christina, for your hard work, and we wish you the best! 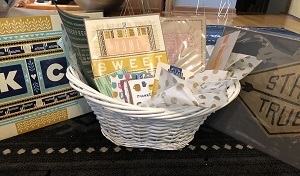 Unique Auction and Raffle Items: Books On Tap Won’t Disappoint! 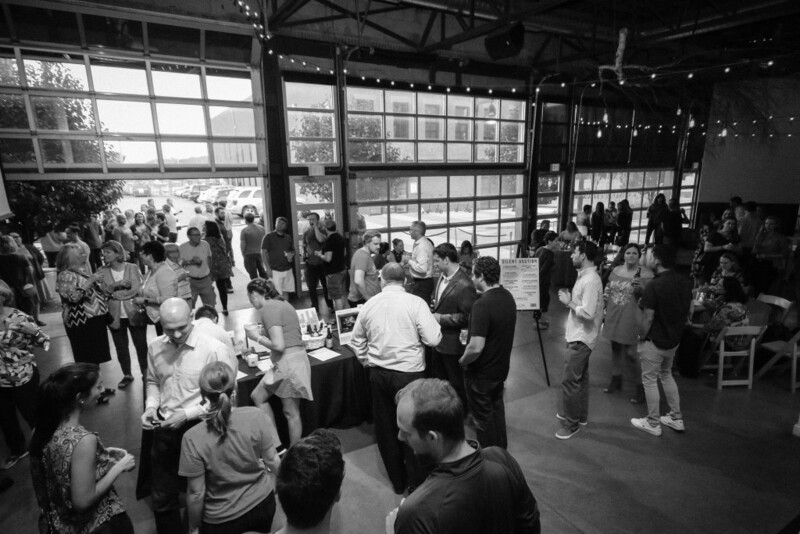 Reach Out and Read Kansas City’s annual networking happy hour, Books On Tap, is Thursday, September 13, from 5-8 p.m. at the River Market Event Place. We’ll gather to support literacy and enjoy appetizers and food from local restaurants and breweries and a unique raffle and silent auction. 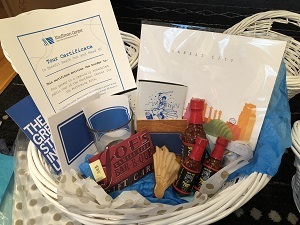 Check out some of the outstanding items below, and then Get your tickets here! Hammerpress Goodies: Two large prints, two smaller prints, two stacks of cards, stack of postcards. $150 value. 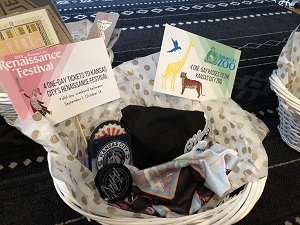 The Royal Package: Four voucher tickets to 2019 Royals game, Drew Butera jersey, Cityscape print, $25 Sailor Jack’s gift card. 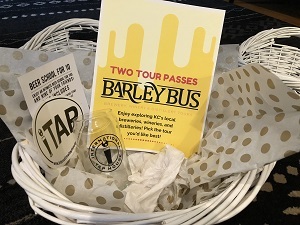 Tickets to Books on Tap are $30 in advance, or $35 on September 13th, and include appetizers, three drink coupons, one raffle ticket and entry into the silent auction. Additional raffle tickets are $5 each or 5 for $20. You must be 21 (and bring your ID) to attend. Get tickets here! 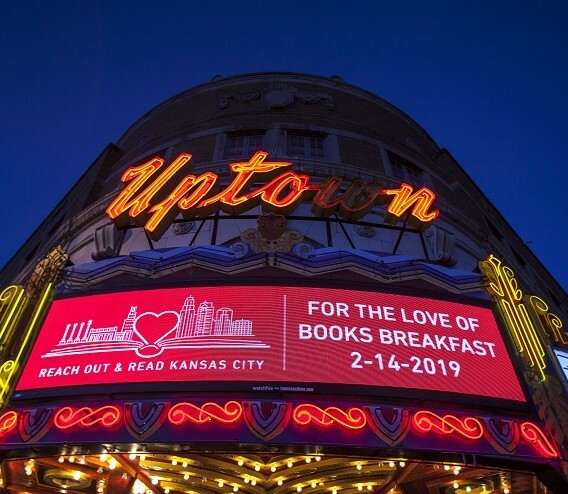 Thank you to everyone who attended Reach Out and Read Kansas City’s first-ever For the Love of Books Breakfast! With your help we raised over $84,000. Thank you to Dhomonique Ricks for keeping the morning on track. Special thank you to our Honorary Co-Hosts Kathleen and Bill Johansen, for being such supportive voices for ROR-KC’s read aloud mission. And a big thank you to the incredible Alastair Heim for giving us a peek into the mind and inspiration of a picture book author. Thanks again to all our sponsors who supported the event. 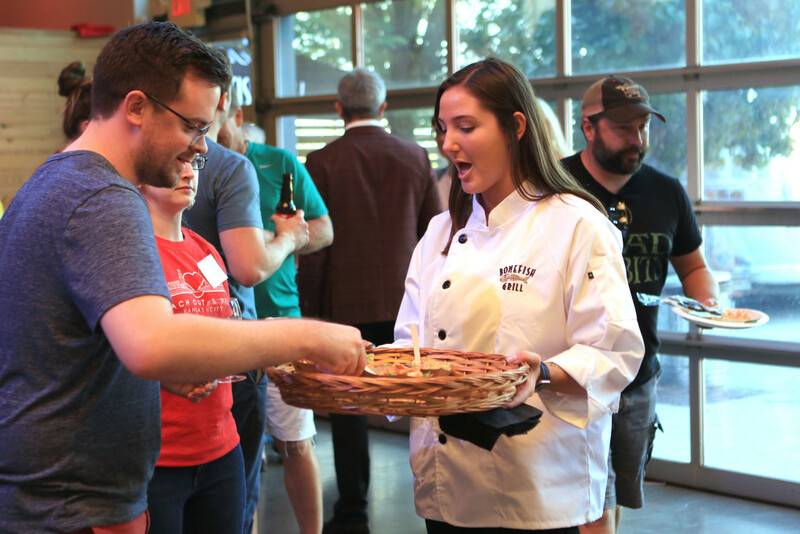 Please view photos from the event, courtesy of Taylor Kelley, on the ROR-KC Facebook page. A Store Named STUFF in Brookside, MO is staying open late for a holiday shopping party benefiting ROR-KC. You will find the perfect, unique gift for that hard-to-buy-for individual on your holiday list. 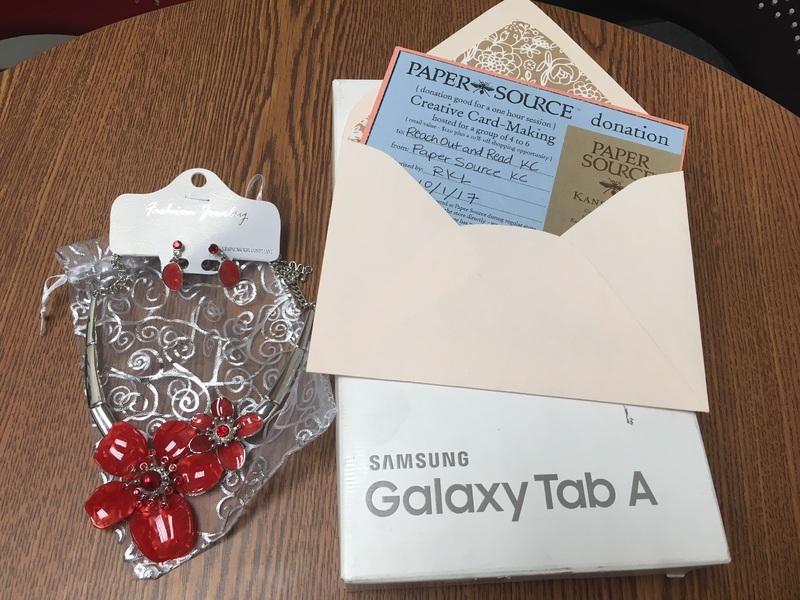 The party is on December 5th from 5:30 -7:00 pm Guests are invited to shop for literacy while enjoying light snacks and fun with friends. Sign up to attend here so you will receive a reminder! Follow the event on Facebook for more info. 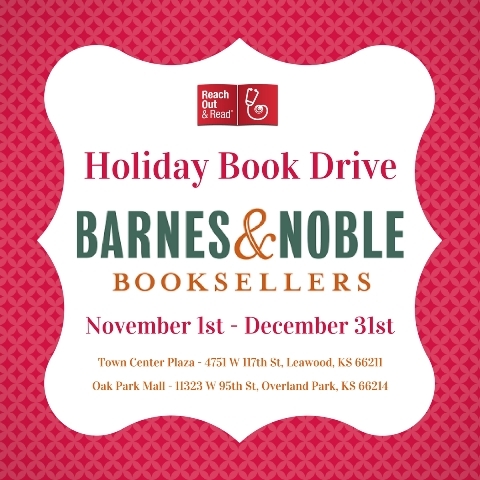 From November 1st to December 31st, 2017, Barnes and Noble Leawood and Overland Park will be hosting their annual Holiday Book Drive benefitting Reach Out and Read Kansas City. Make a difference by purchasing a book for a child this season. The book selections, located behind the Barnes & Noble checkout counters, were hand-picked by Janice, ROR-KC’s Book Coordinator, for children in our 50 Kansas City metro area clinics. These book donations will be used during well-child assessments by medical providers, then given to children to take home and enjoy. Be an advocate for literacy and give the gift our medical team is prescribing, time for families to interact and snuggle up with a good book this holiday season. School may be out for summer, but it’s the busiest time of year for our partner clinics! Because summertime is the perfect time for families to schedule well-child visits, books have been flying off our shelves! Last year, in August 2016, we distributed over 8,800 brand new books. As a result, our supply of books is dwindling low. 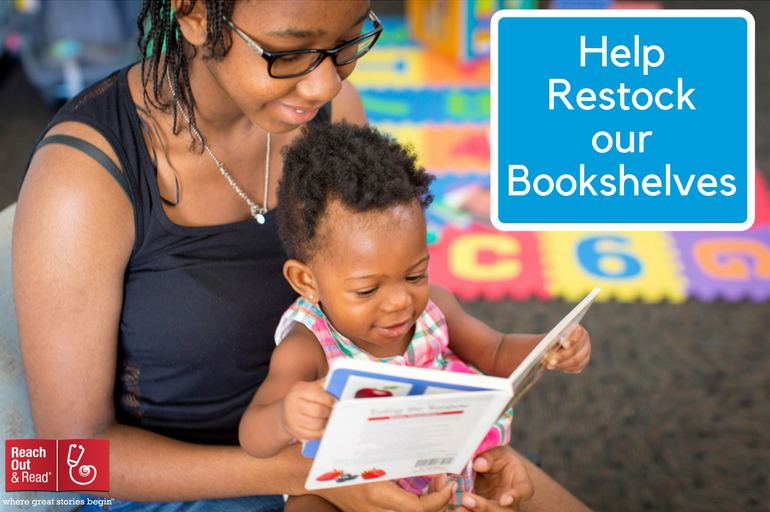 We need your help to continue providing over 80,000 books to children in KC each year. 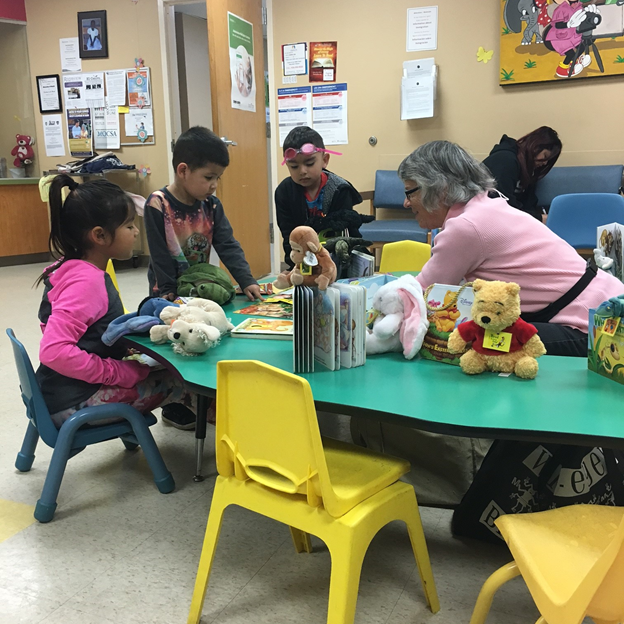 Many families who visit Reach Out and Read Kansas City clinics are struggling to cover basic household necessities … they would love to buy books for their children, but they simply can’t afford them. 61% of low-income families have no children’s books in their homes. 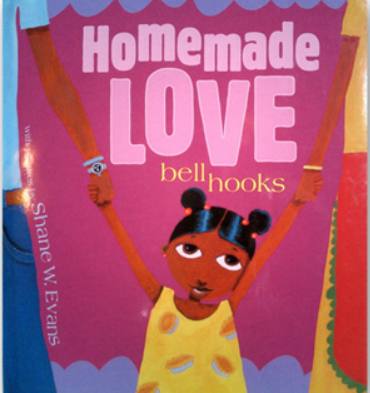 Owning a book and reading with parents can ignite a lifelong love of learning. 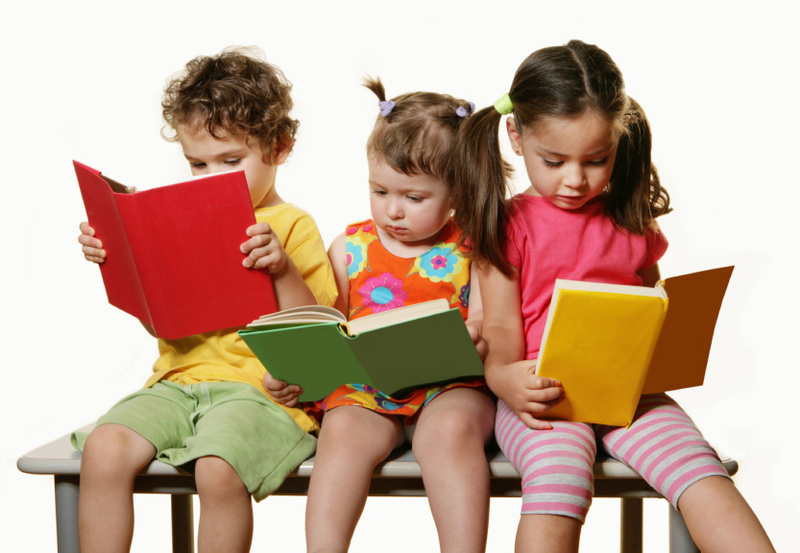 Through new books and literacy counseling for parents, you instill a love of learning and a desire to learn more. 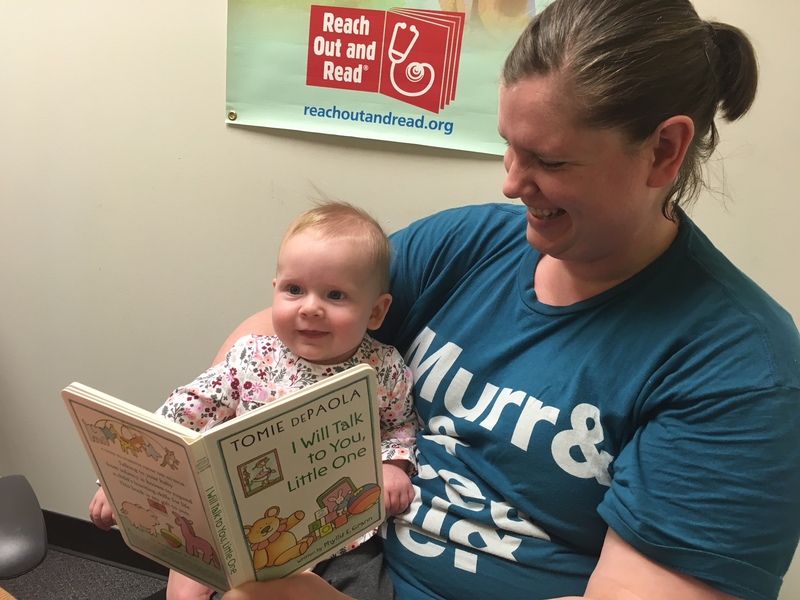 In fact, research confirms that parents who interact with our program are more likely to read to their young children, read more often, and have more children’s books in their homes. Help us ensure every child recieves a book at their well-child visits. Make your gift go further by joining our monthly donating club, the Brain Builders. Register Now for our First 5K Run/Walk, Race to Read! Reach Out and Read Kansas City (RORKC) is excited to announce our first 5K run on Saturday, August 26th at Swope Park. The 5K race and other kid-friendly activities will begin at 8 am. The race will be a 5K cross country course throughout the park. Runners need to sign up by August 12th to be guaranteed a T-Shirt. There is no cost for kid-friendly events. Starting at 8 am, face painting, and Molly Balloons will be on site for kids and at 9 am relay races will begin. 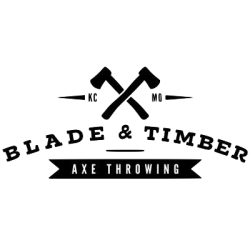 Throughout the entire event, there will be live music provided by Mudflap Mafia. Interested in sponsoring the Race to Read 5K? View more information. The safety of our participants is the most important thing and if any threatening weather conditions are present the day of the event, the event may be delayed or canceled. If you would like to learn more about volunteering to read in a clinic with a child or how to volunteer for this race, please contact Jenny Horsley or call 913-588-2793. Michelle is a second grader with a passion for reading. “As soon as I get home from school, I like to go to my room and read,” she states proudly. 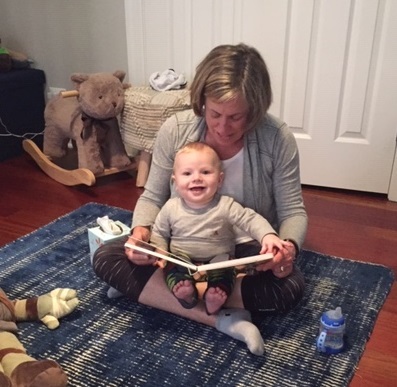 Her family helped develop this love by reading aloud to her starting at birth. They did this because of the books and literacy advice they received from their medical provider through the Reach Out and Read KC program. Michelle was one of the nearly 30,000 children in KC that receives new books from their medical provider each year. After she started receiving the RORKC books, her father built a special bookshelf to store them. Michelle is now 8 years old and no longer receives brand new books from her medical provider, but does take gently used books from the waiting room to continue her library. “When I get a new book and I finish reading it, I put it on a bookshelf that my daddy made to keep it safe from other kids.” said Michelle. Her family has also transitioned from solely reading aloud to her, to having Michelle practice reading aloud to them. “I love reading aloud with my family because it makes them happy and it helps me become a better reader, ” Michelle says. We love your passion for reading Michelle! Celebrating Our 20th Anniversary: We Love Our Volunteers! Volunteers are vital to the mission of Reach Out and Read Kansas City. With a small staff, we rely on volunteers to help make our program successful. In celebration of National Volunteer Month, we’re highlighting 3 volunteers that make our program great. Sally, Carol, and Justin are volunteer readers at different partner clinics throughout KC. Our volunteer readers help create a literacy-rich environment by sharing books with children and modeling good reading behaviors for their families. Sally began volunteering 15 years ago after retiring from her job as an English teacher. While looking for a volunteer opportunity, her friend suggested she get involved with RORKC. Since then, she’s been sharing books with families at CMH Special Care Clinic a few times a week. 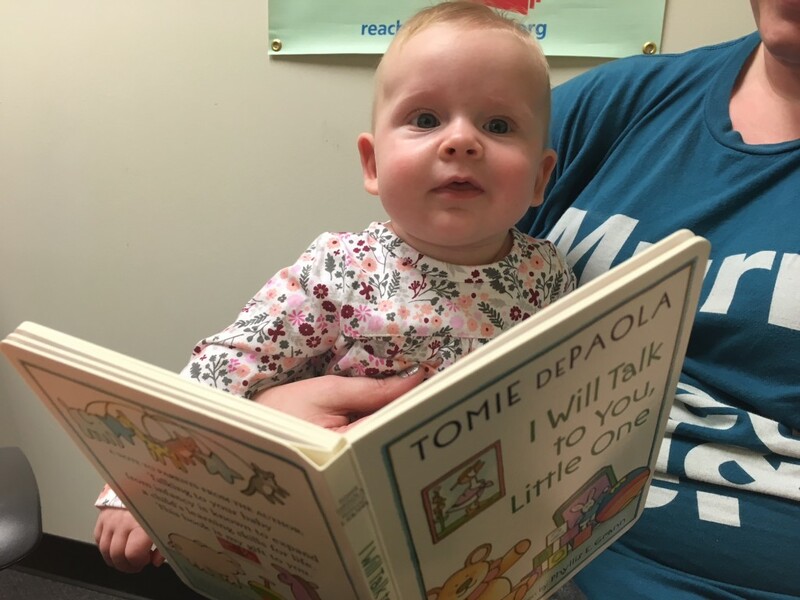 On the importance of making reading fun: During my visit to the clinic to meet Sally, I was able to watch her in action. This morning the clinic was busy and there were two boys sitting near the reading table. When Sally approached them, they told her they didn’t like to read. That is until Sally brought over 3 different books, one about the heroes of 9/11, one about different cars, and one about the ocean. By the time they were called into their doctor, they were enthralled in their books. Sally works hard to make sure that every child finds a book that they can enjoy in the waiting room. “Reading is important and should be fun, that’s why I tried to give each of the boys a few options,” Sally told me. About 6 years ago, Carol, retired from teaching Kindergarten and was looking for a volunteer opportunity that involved children and literacy. She came across an ad for a volunteer orientation at RORKC and signed up! Since then, she’s been a dedicated reader at a few of our clinics, setting up the reading table. Carol also writes the Spanish translation in English books underneath the words because she sees a large number of families who need bilingual books where she volunteers. Justin is a volunteer reader at Samuel Rodgers Health Clinic. He first became involved with RORKC about 10 years ago when he was looking for a way to give back to his community. He came across an ad for volunteer reading and the rest is history. Thank you to Sally, Carol, and Justin for volunteering their time to share books and their love of reading with children in KC! 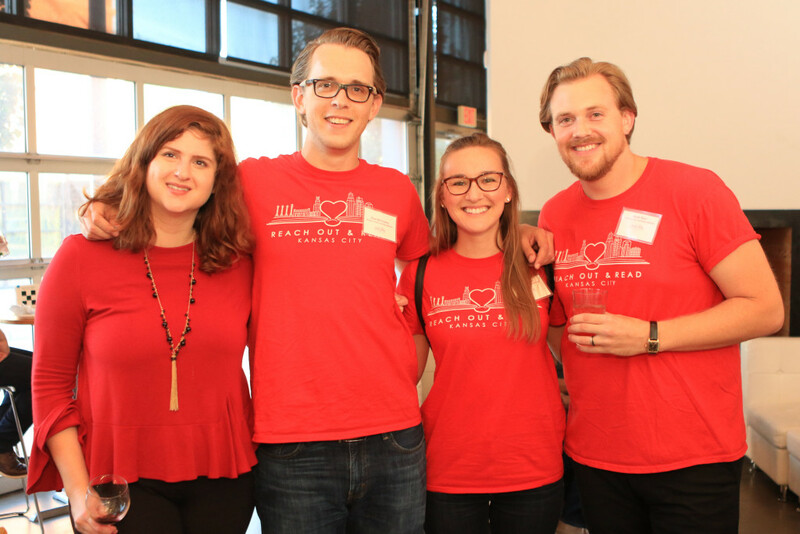 Interested in volunteering with Reach Out and Read Kansas City? From volunteer reading to serving on an event committee, we have plenty of opportunities for those trying to make a difference in the community. For more information about volunteering, contact Jenny. Last December we sent up the bat signal asking for your help in our end-of-the-year appeal. Like the super heroes you are, you answered our call and we were overwhelmed by your response. We are so thankful for your dedication and continued support which allows us to ensure Kansas City children are prepared to enter school ready to succeed.Over the last several weeks, you have contributed nearly $5500! This means 1100 new books and early literacy advice will be reaching the hands of local children. Wow! We would like to give special recognition to two outstanding contributors for their donation of $1000 each, which single-handedly will provide 400 children with new books and early literacy advice! Thank you Kris & Frank Cappo and Baby & Child Associates for your generosity. We are so grateful to everyone that has contributed, allowing us to impact the lives of community children.